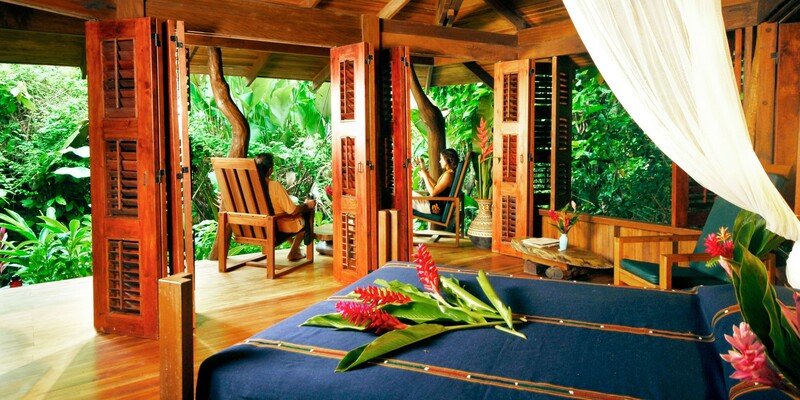 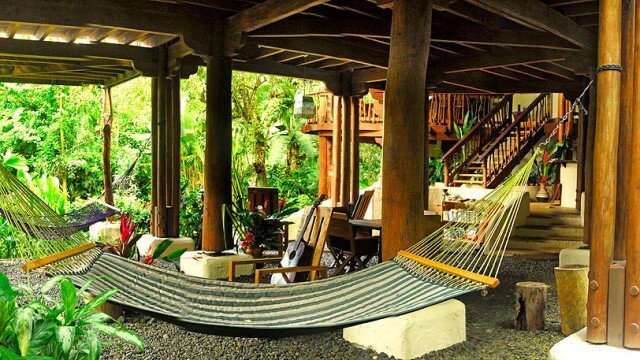 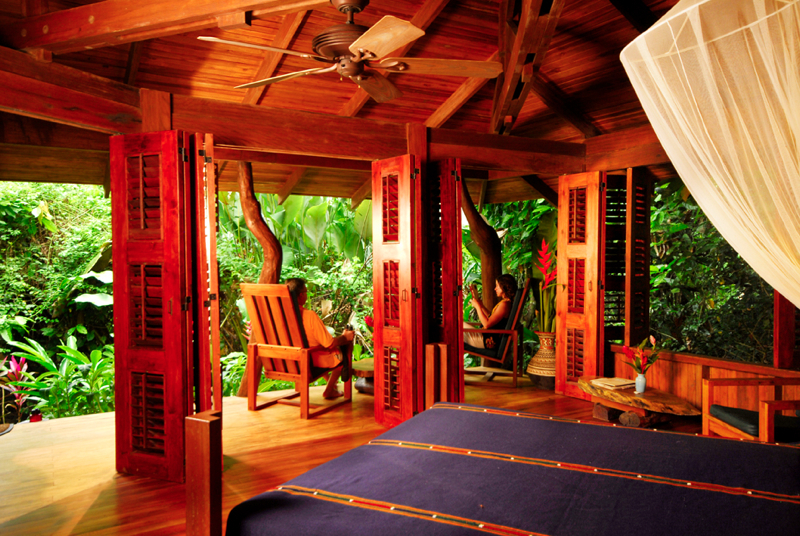 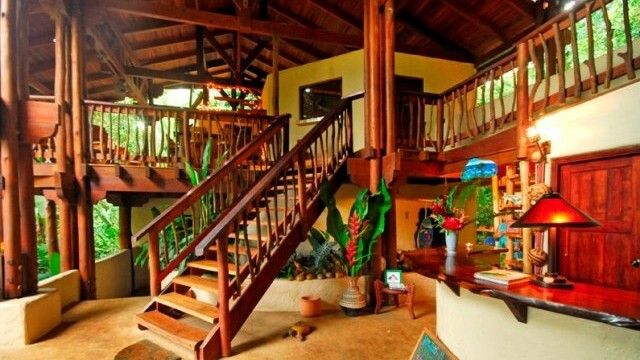 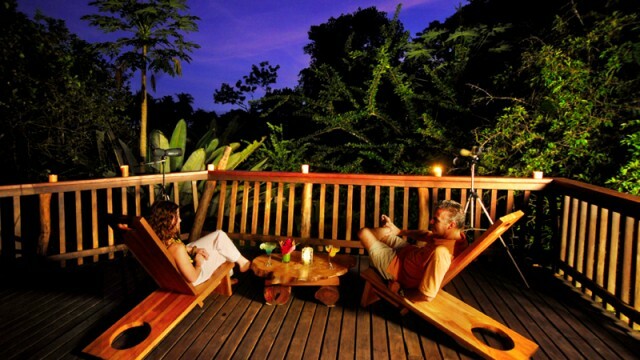 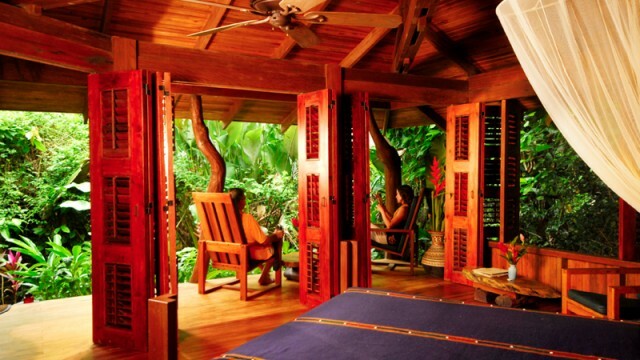 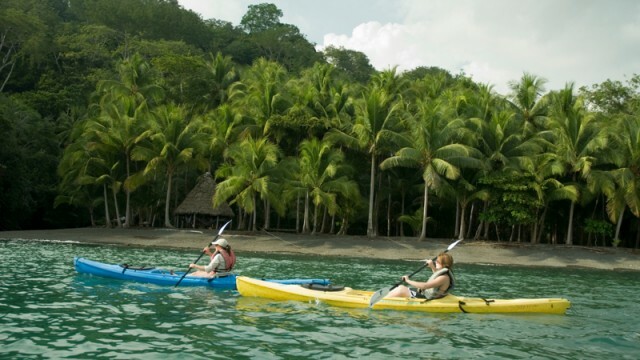 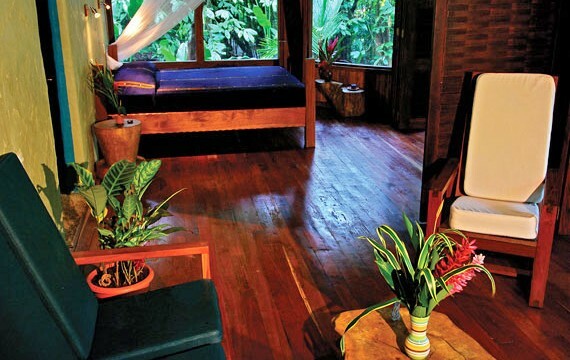 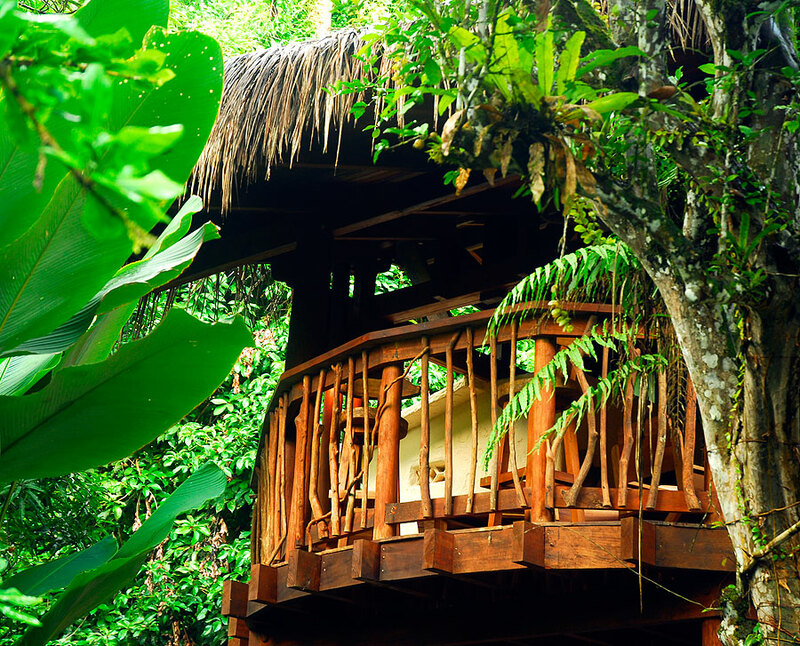 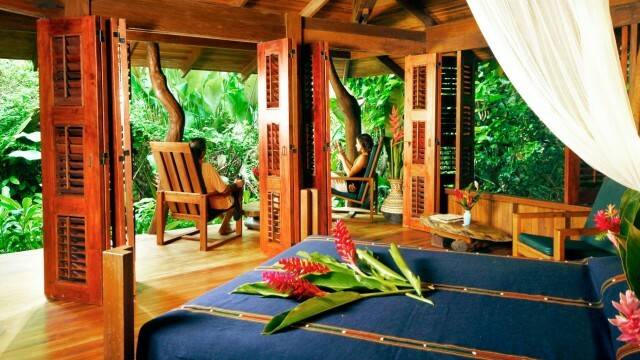 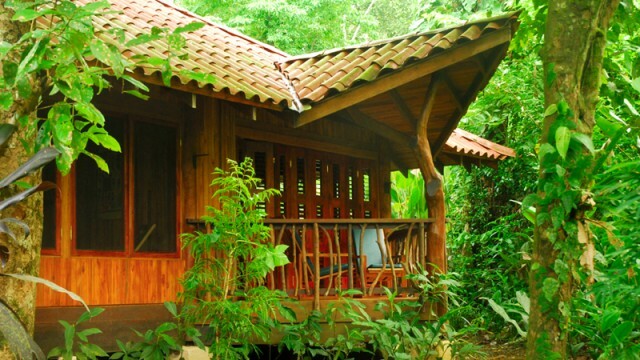 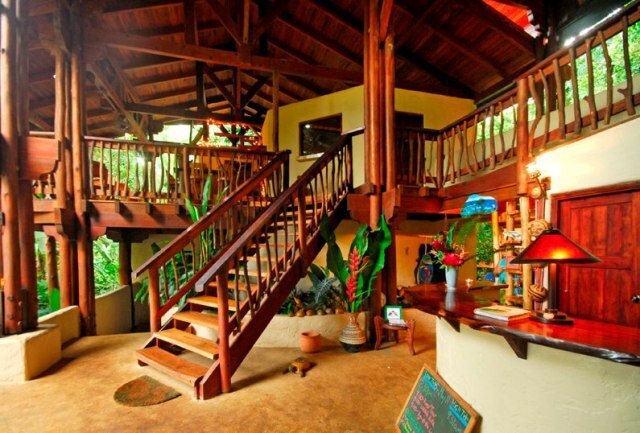 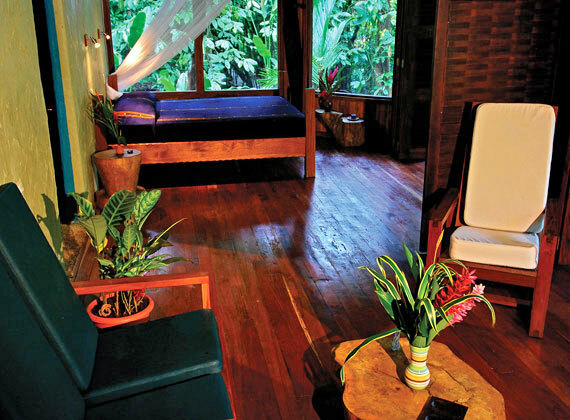 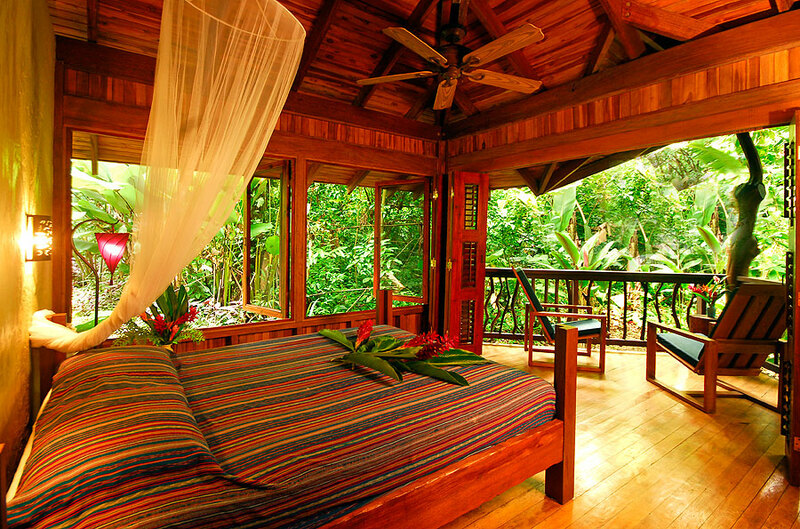 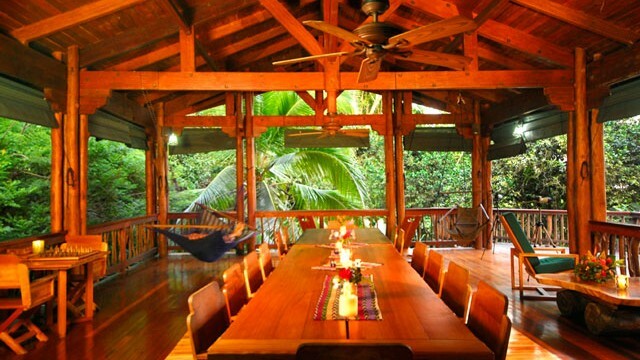 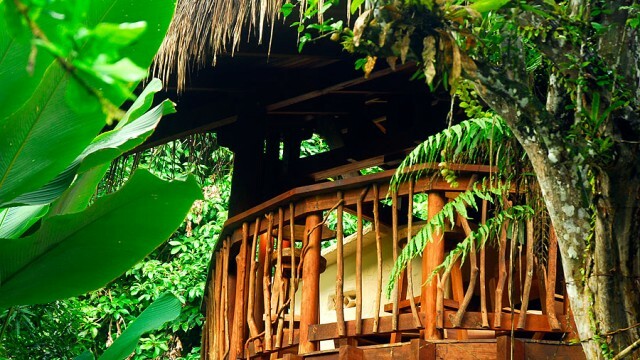 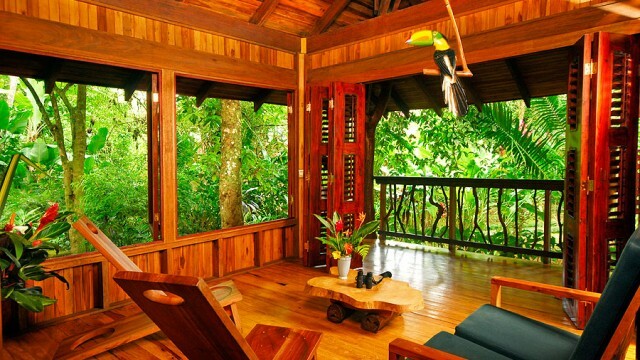 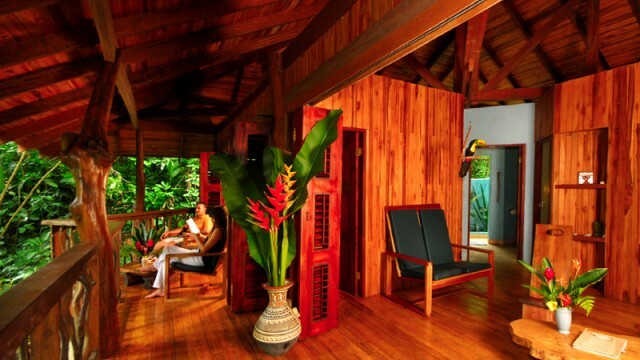 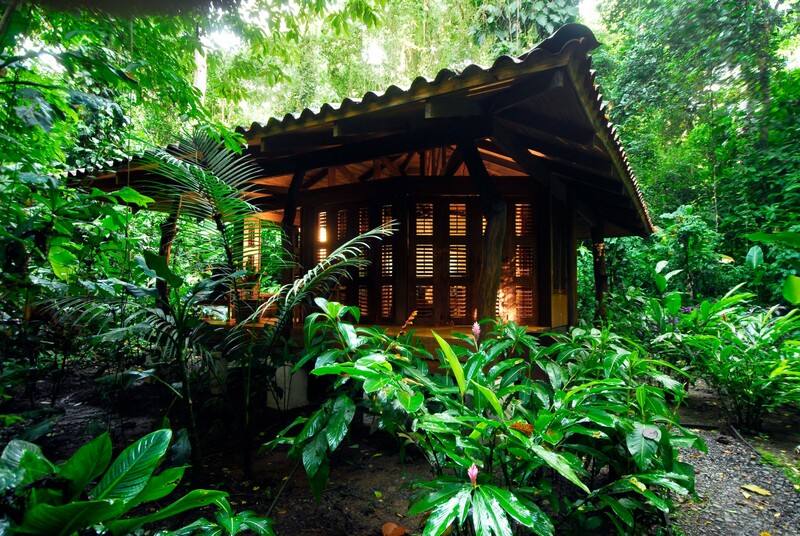 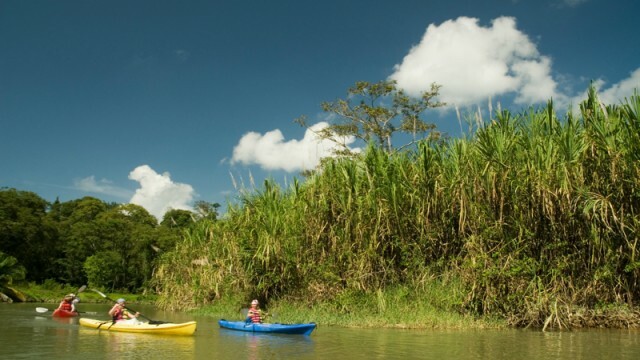 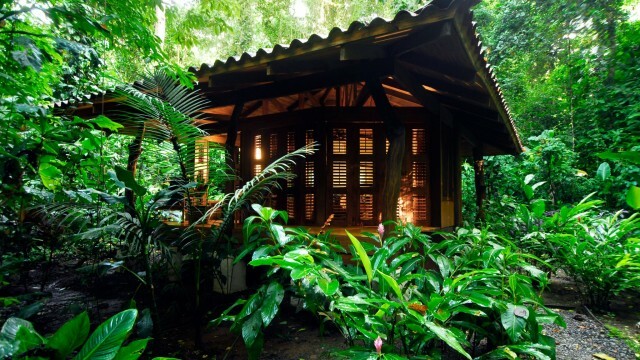 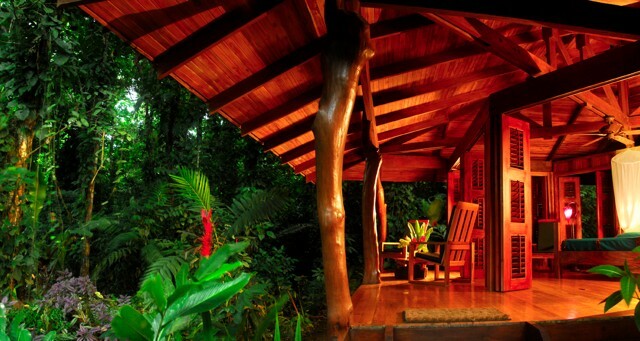 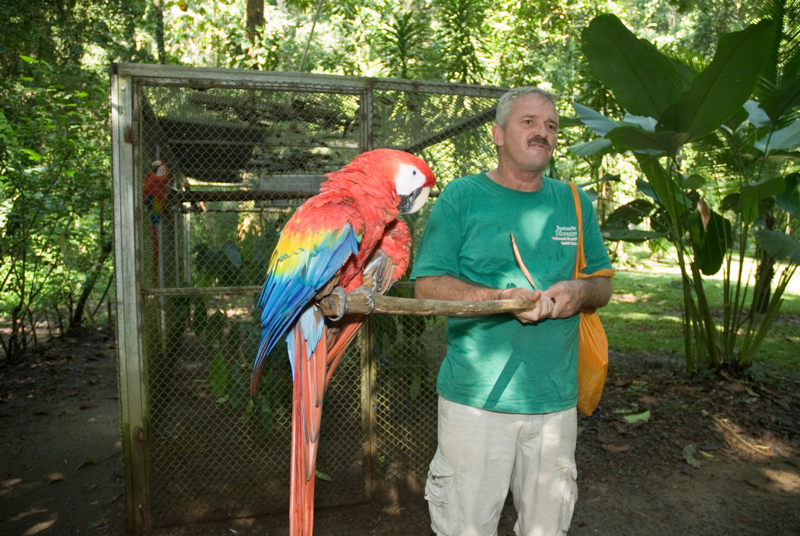 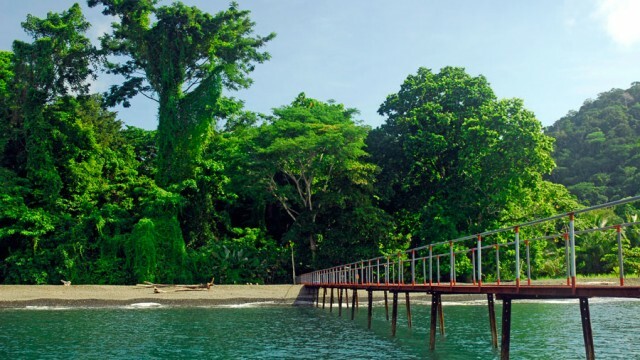 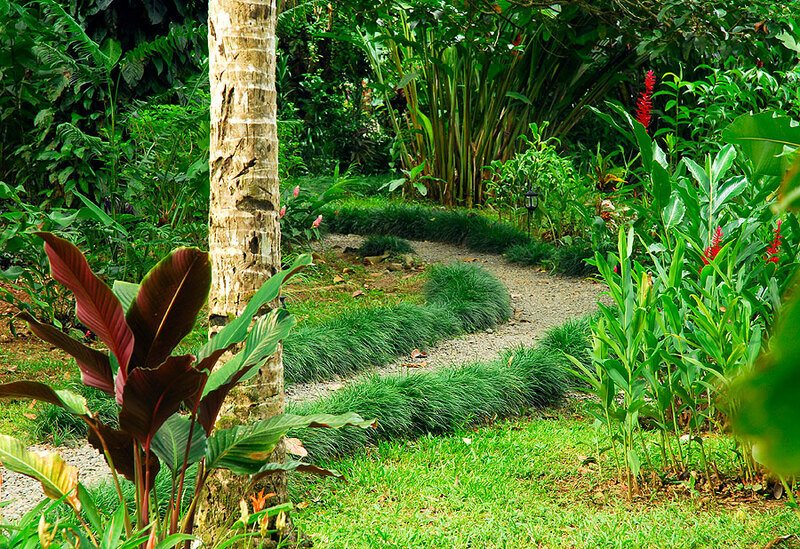 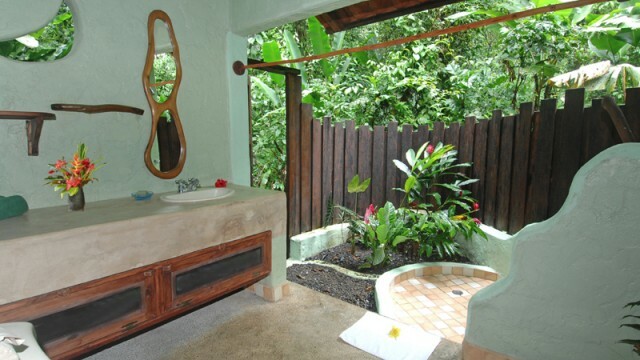 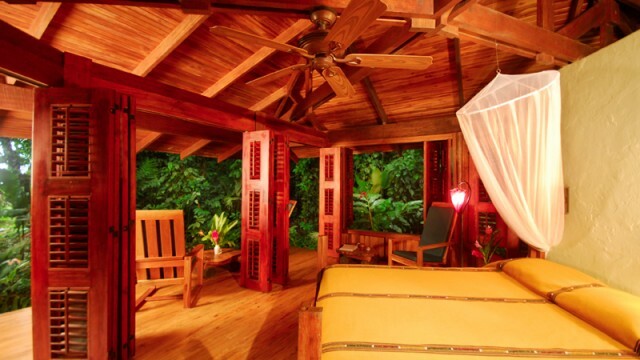 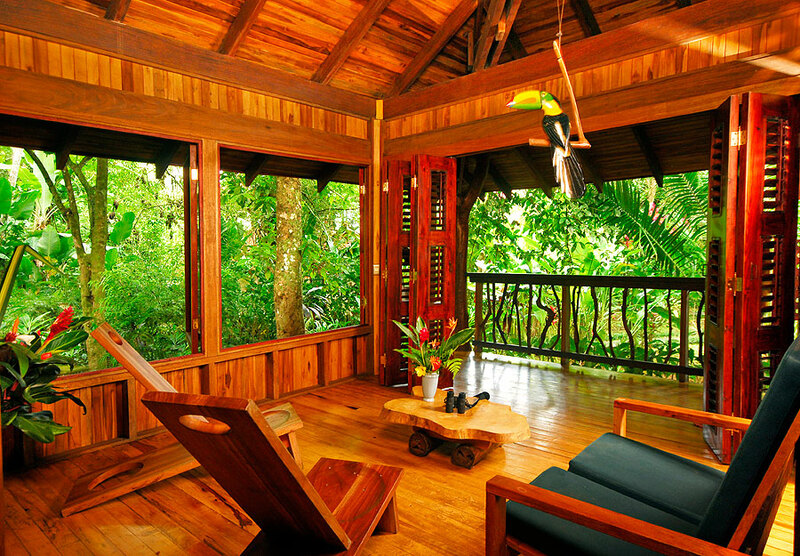 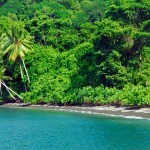 One of Costa Rica’s outstanding examples of sustainable tourism is this environmentally conscious, waterfront eco-lodge with a 165-acre private rainforest reserve laced with trails, tropical rivers, waterfalls, mangroves and rugged mountains covered in dense evergreen forest – this is the ultimate back-to-nature escape. 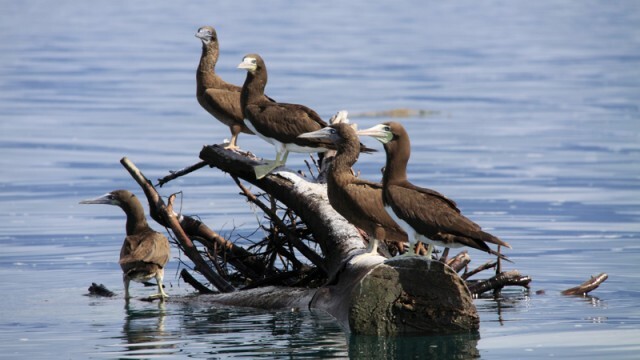 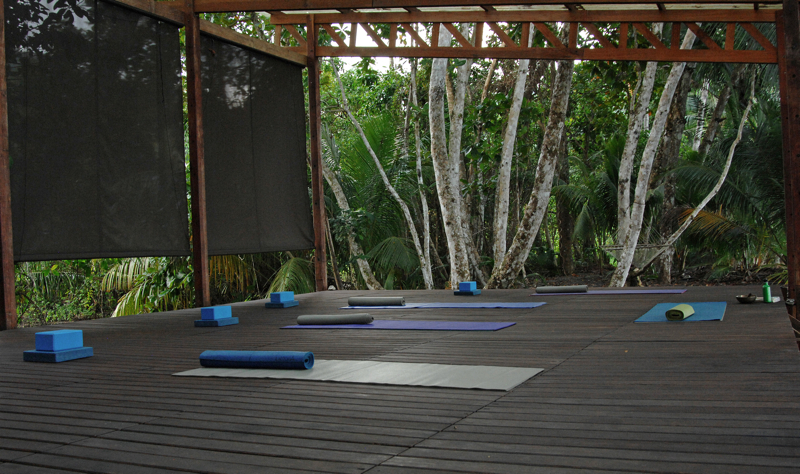 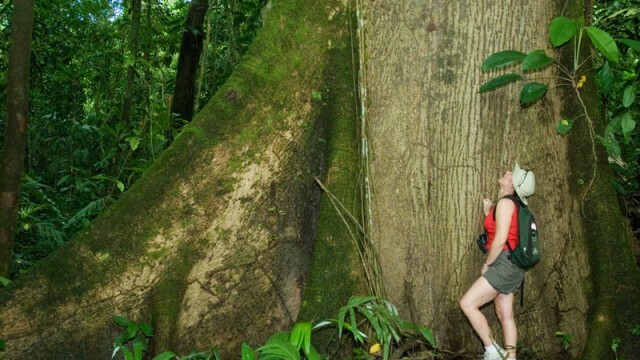 The property is also surrounded by the 34,642 acre Piedras Blancas National Park, home to rare trees and many species of birds, mammals and reptiles. 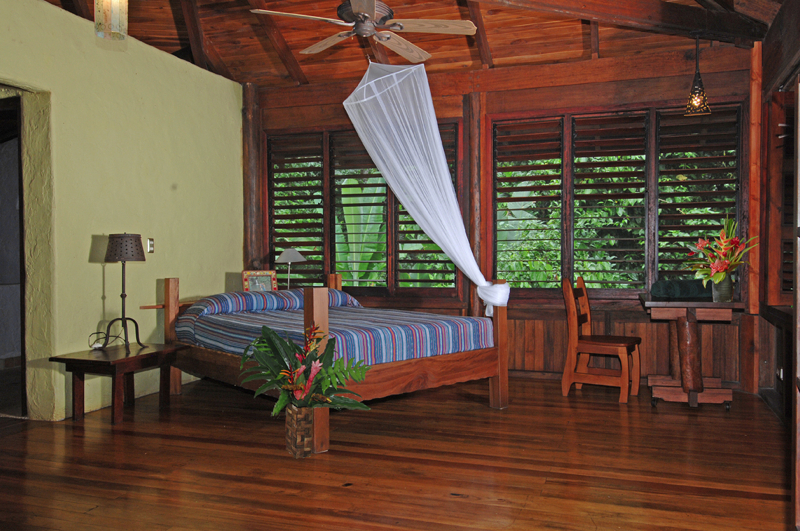 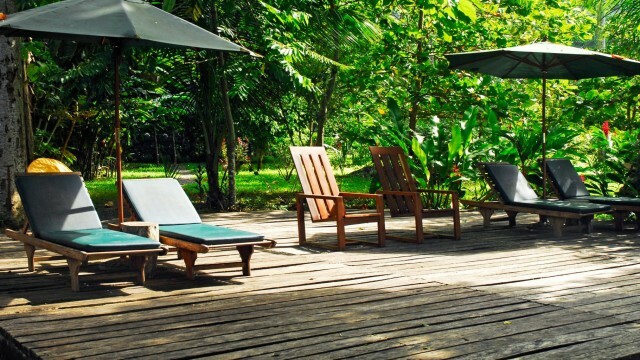 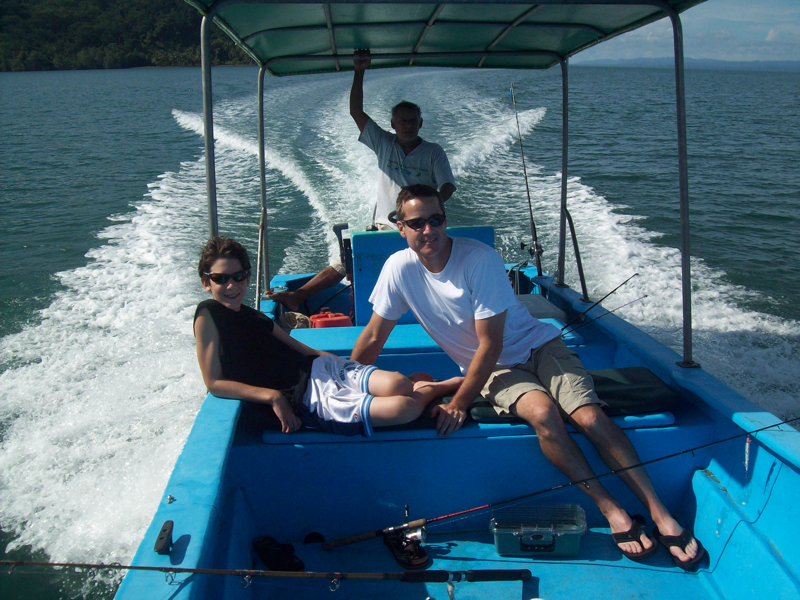 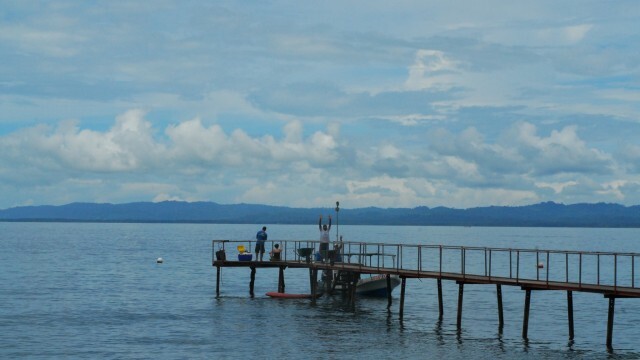 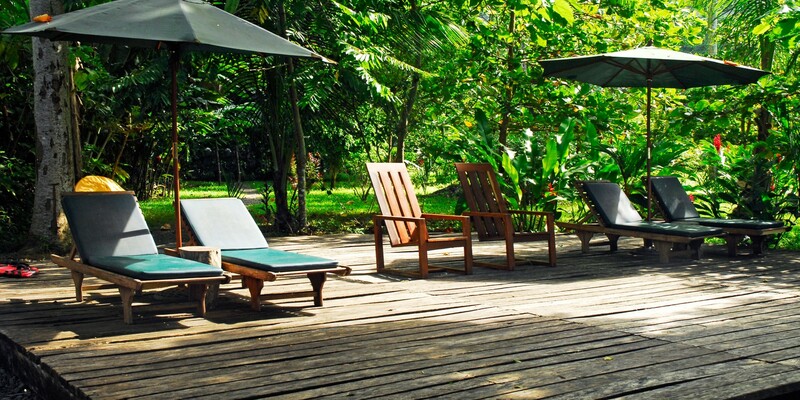 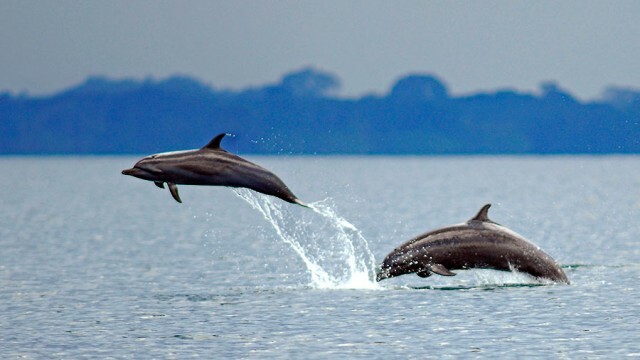 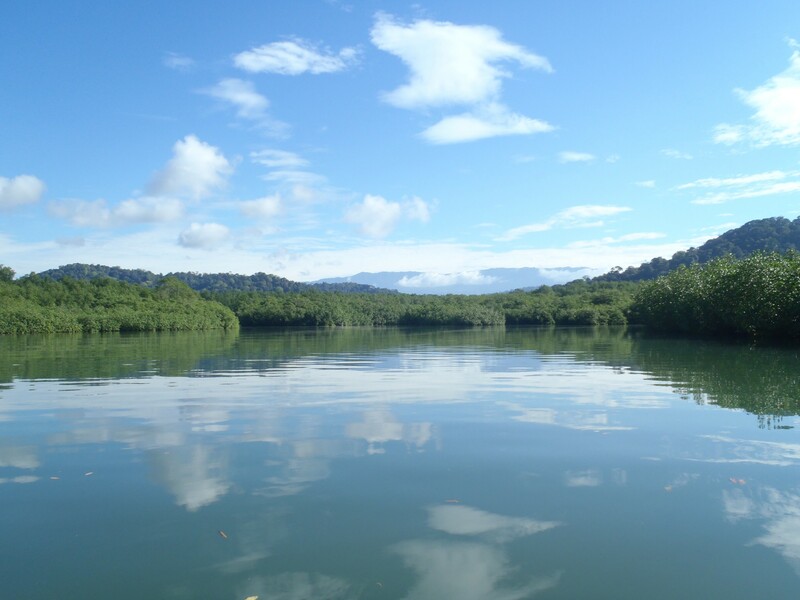 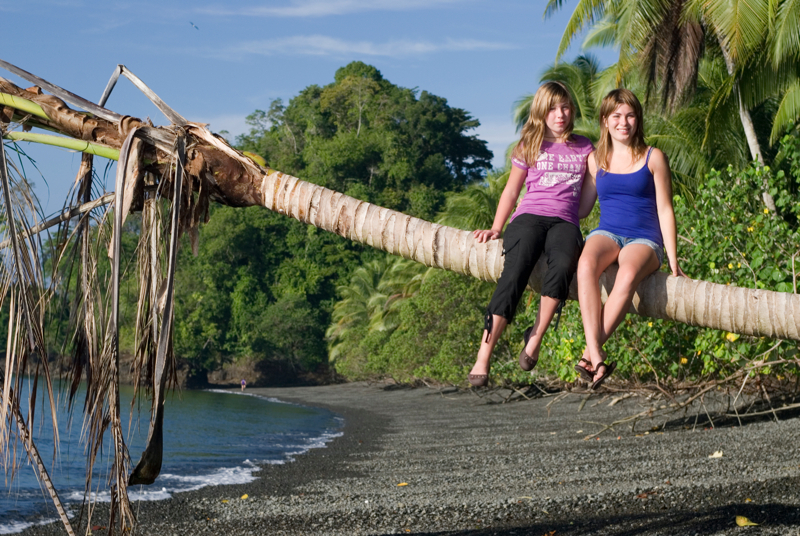 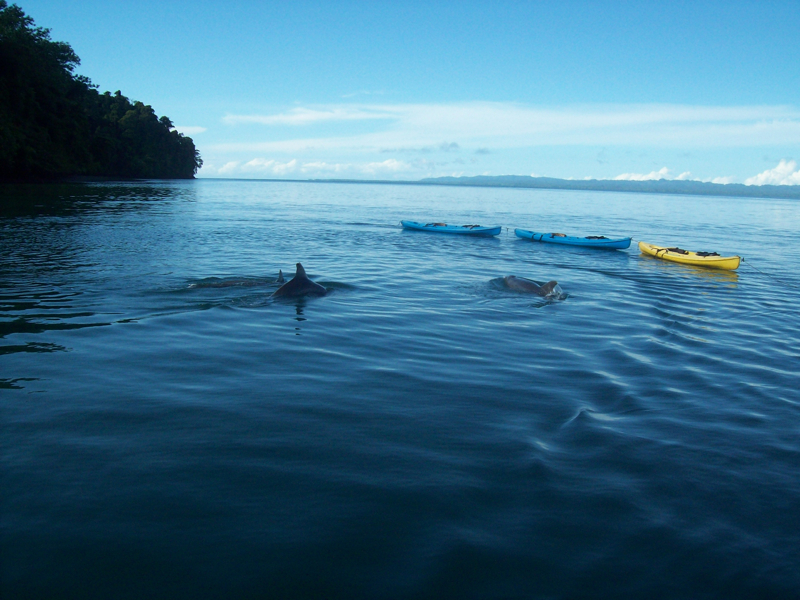 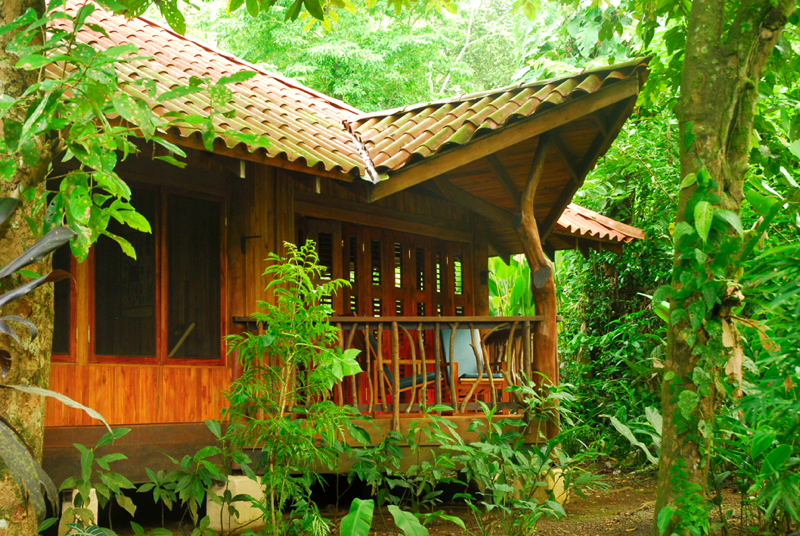 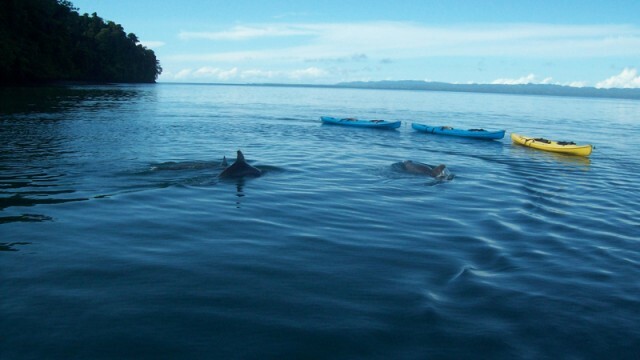 This “one of a kind” ecolodge also fronts the tranquil waters in the Golfo Dulce where dolphin, whales and a huge array of fish can be found. 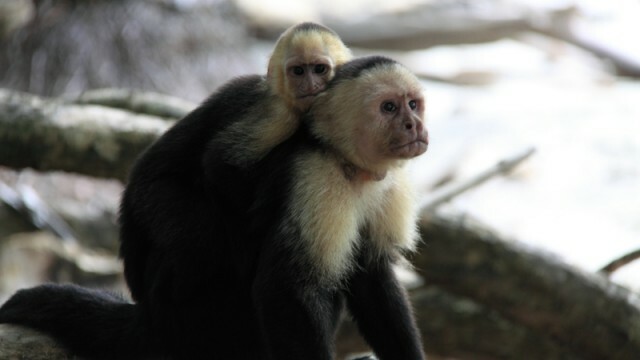 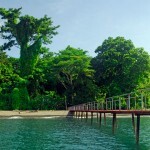 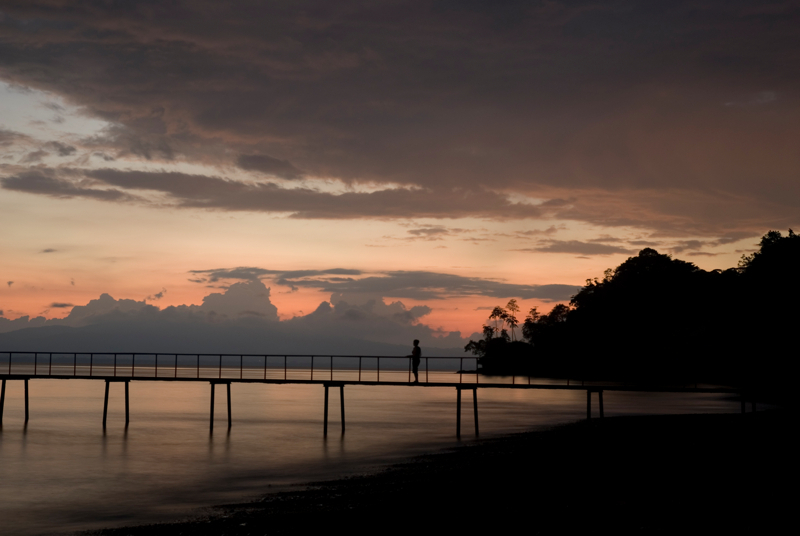 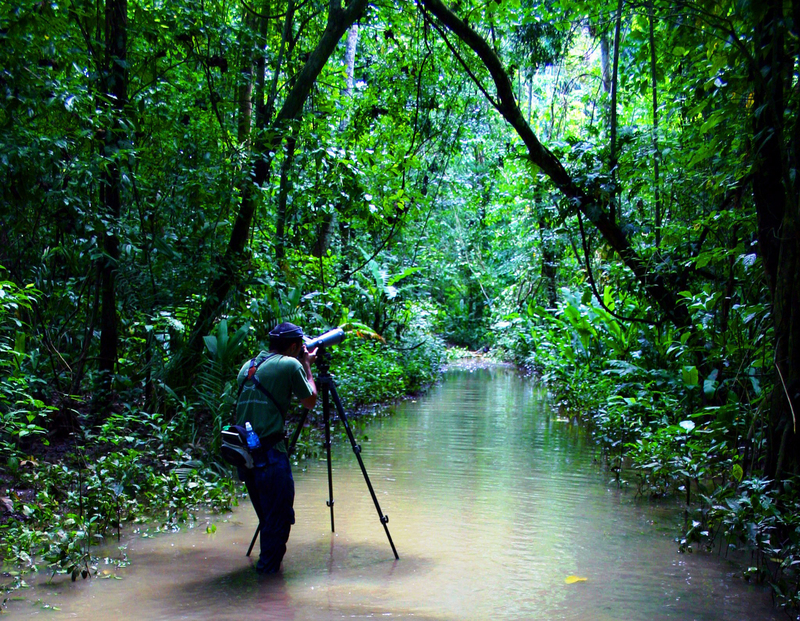 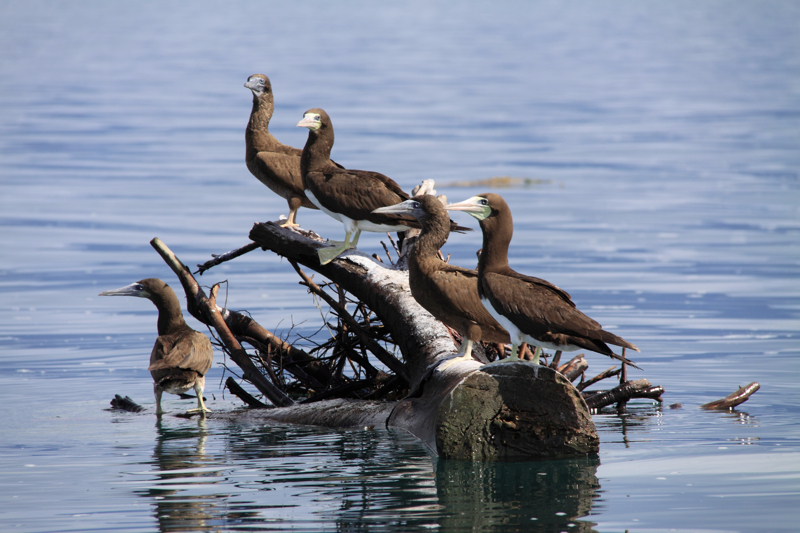 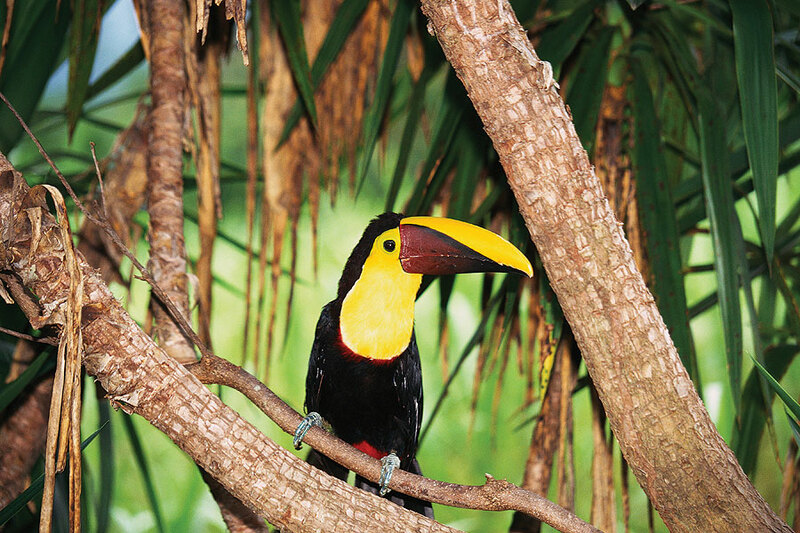 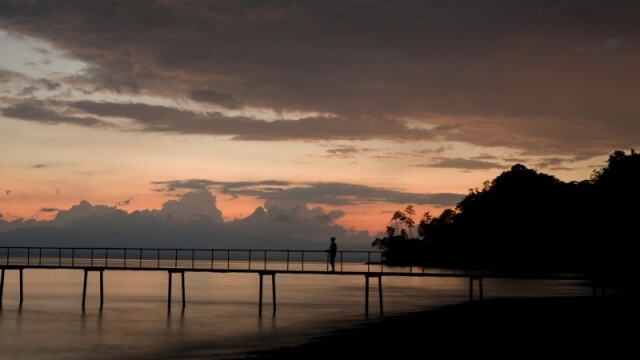 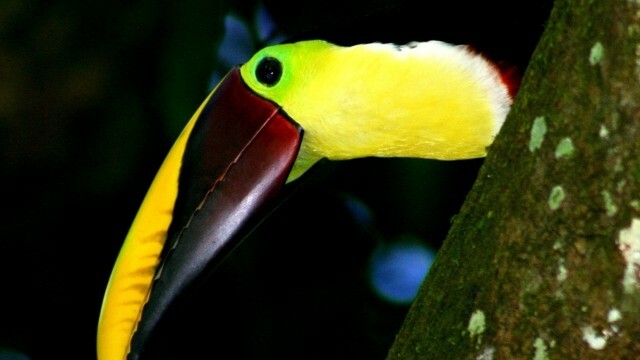 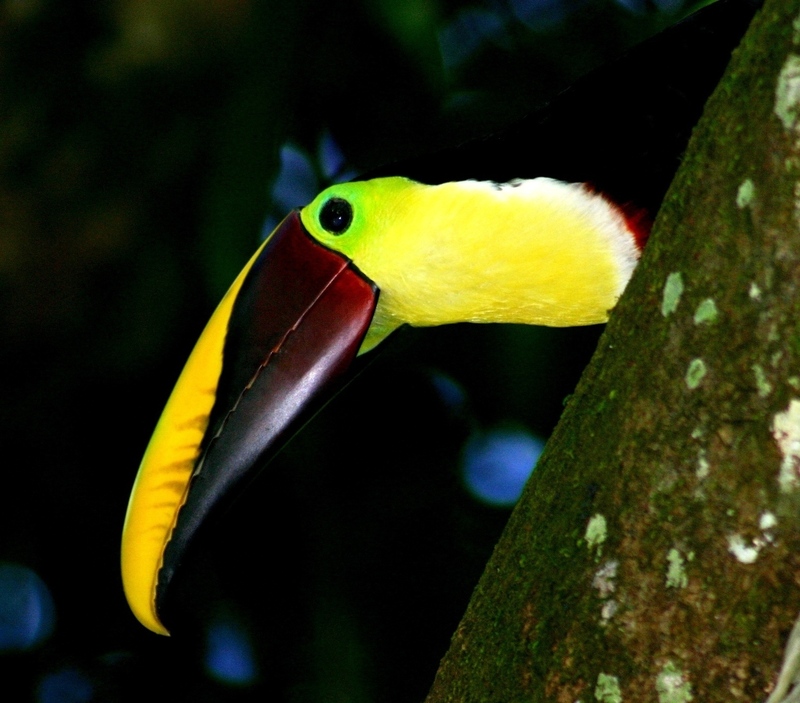 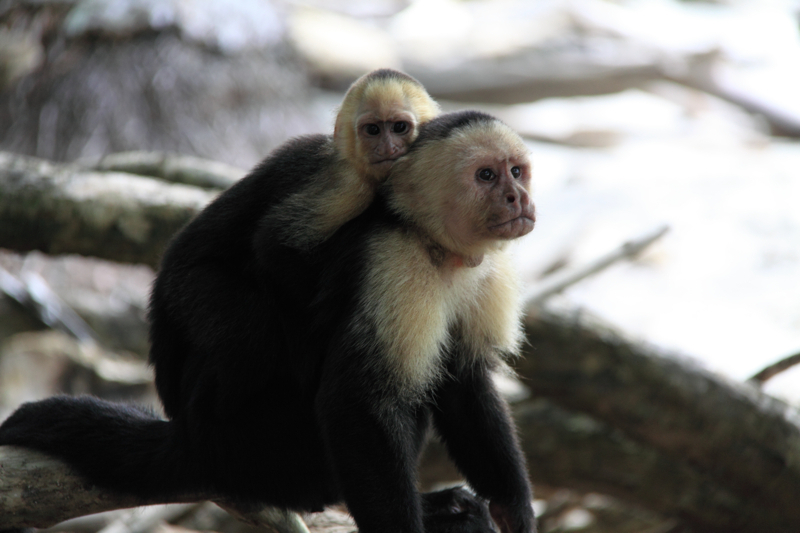 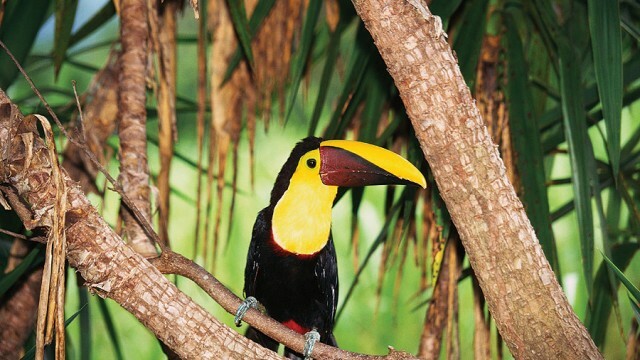 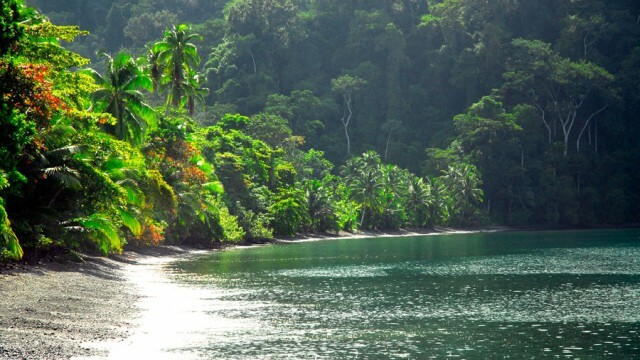 National Geographic has called the Osa Peninsula the “Most Biologically Diverse Place On The Planet” and the area is considered a national treasure of Costa Rica. 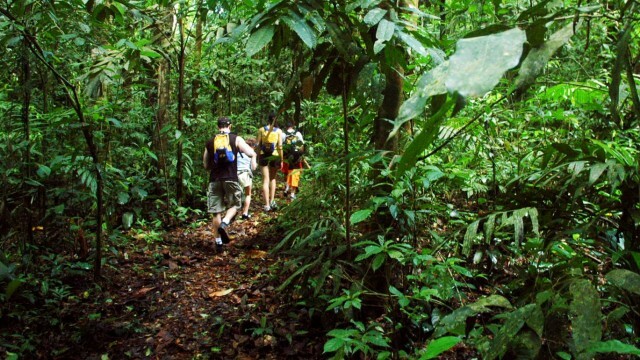 The equivalent in North America would be Yosemite, Yellowstone or Banff National Parks. 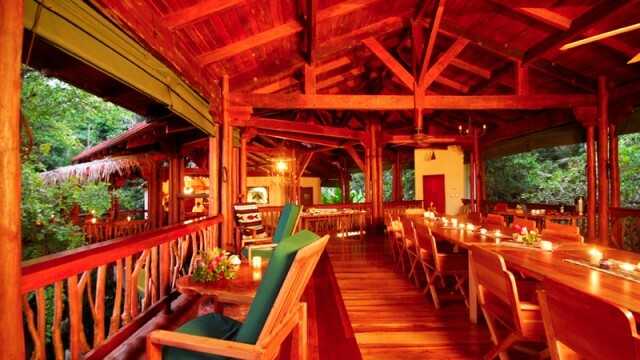 With a location such as this, the business embraces conservation and harmony with the natural environment. 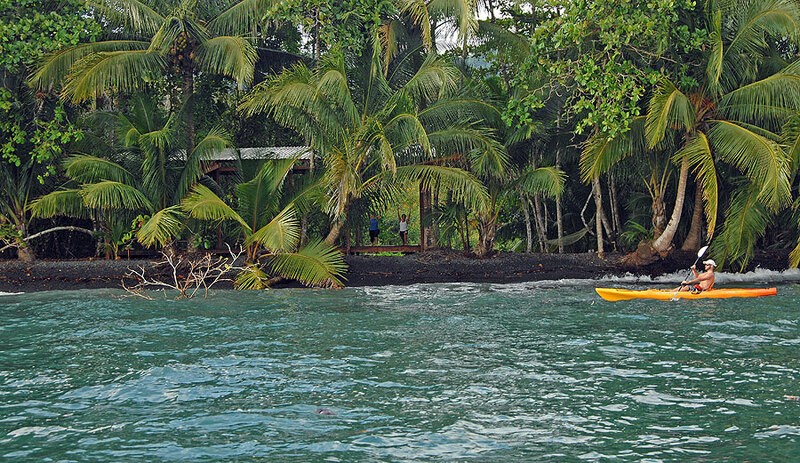 There are no roads to the property and access is by boat only with water taxi pick up from nearby Golfito (4 boats are included in the sale). 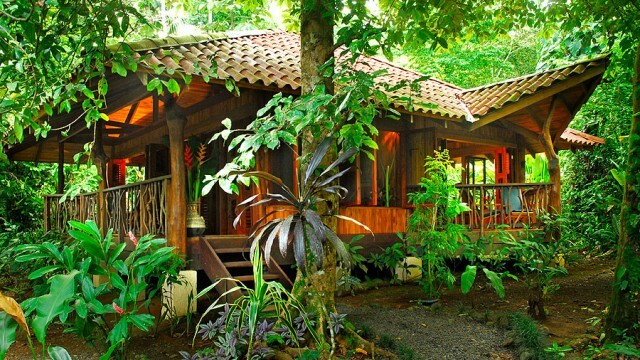 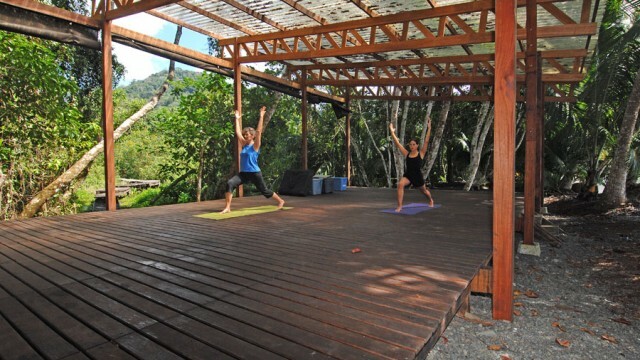 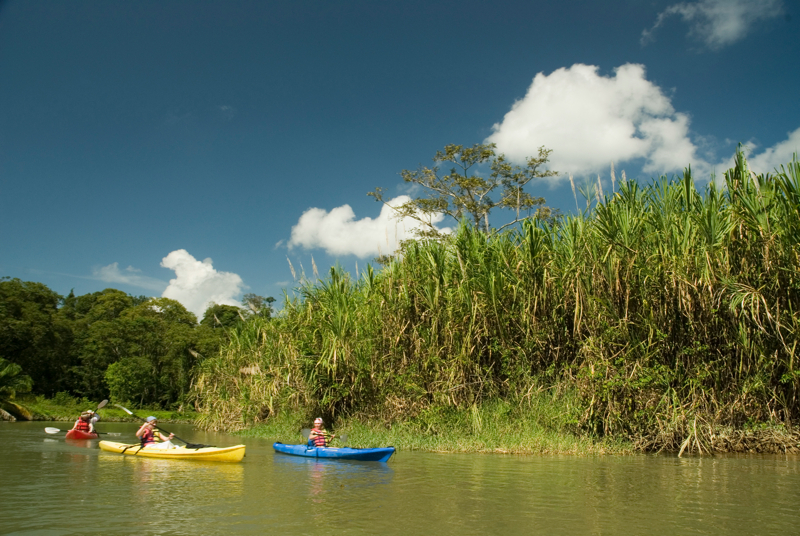 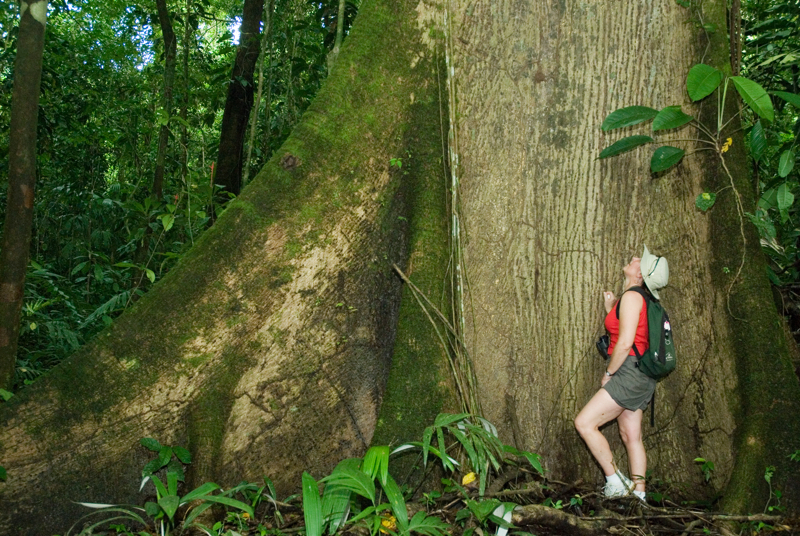 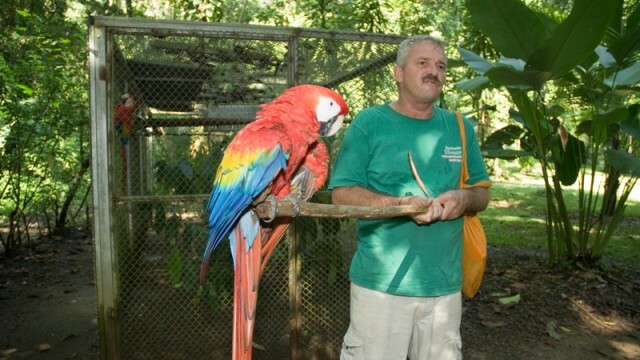 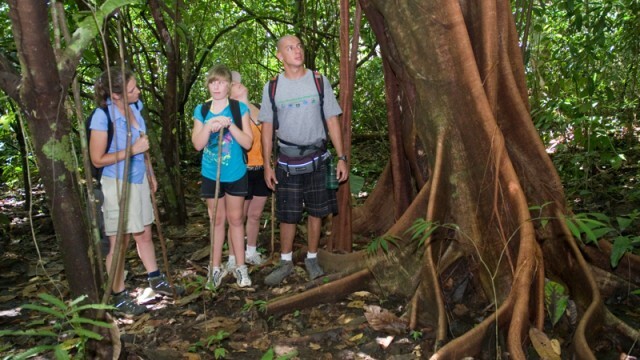 It has received the highest rating for sustainability (Five Leaves) by the Costa Rican Tourism Board (ICT) and it is very well outfitted with the necessary infrastructure to operate off-the-grid. 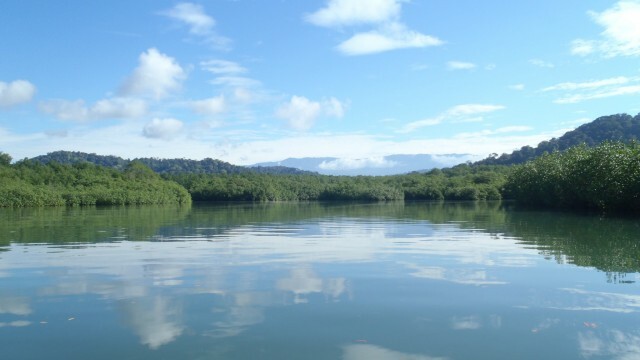 It includes employee housing, electric generators, solar panels, an independent water system, green laundry facilities plus storage and workshop structures. 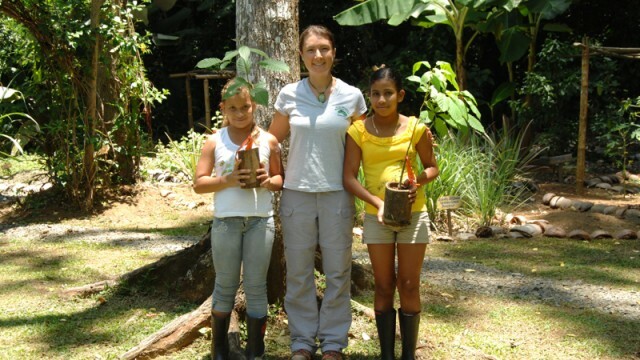 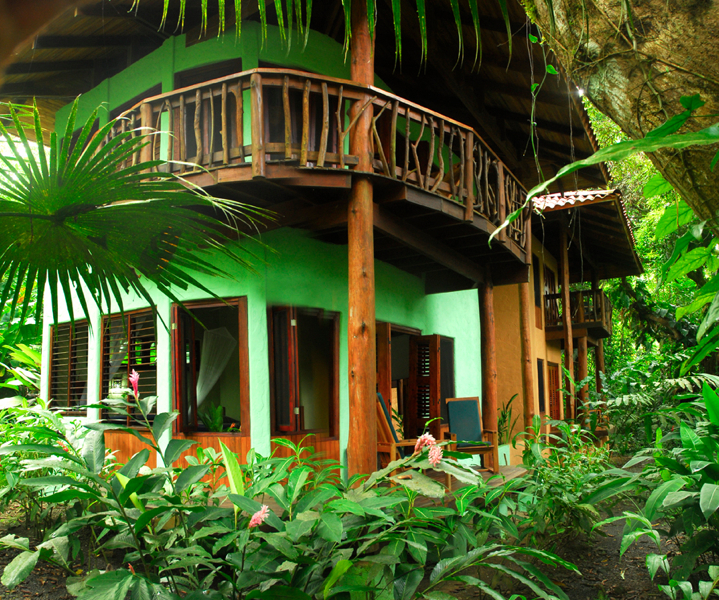 The business is affiliated with the Rainforest Alliance, the International Ecotourism Society, the Costa Rican National Chamber of Ecotourism, Sustainable Travel International and other organizations that promote businesses that respect, protect and nourish the local environment. 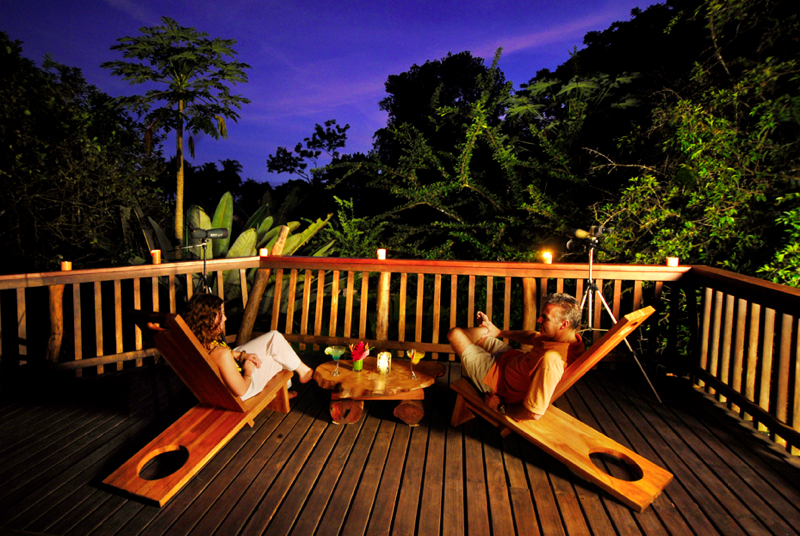 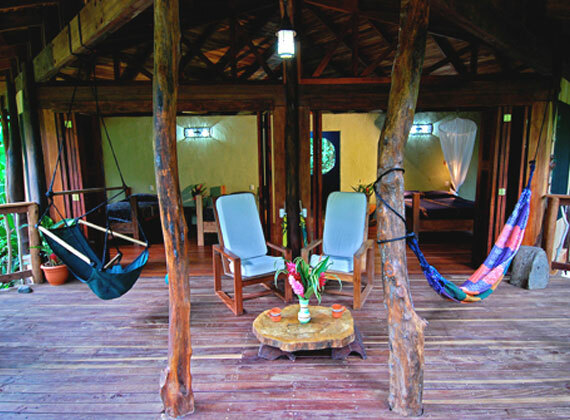 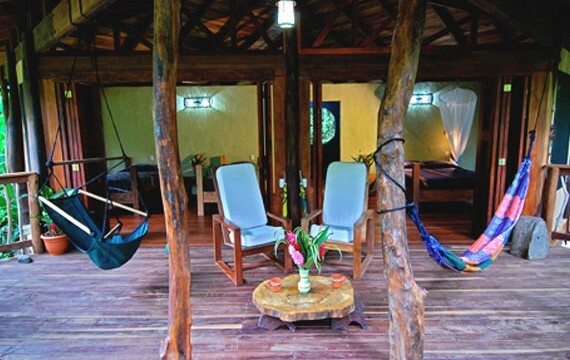 The lodge has received rave reviews from visitors from all over the world and caters to travelers who are interested in ecotourism, nature, adventure and sports. 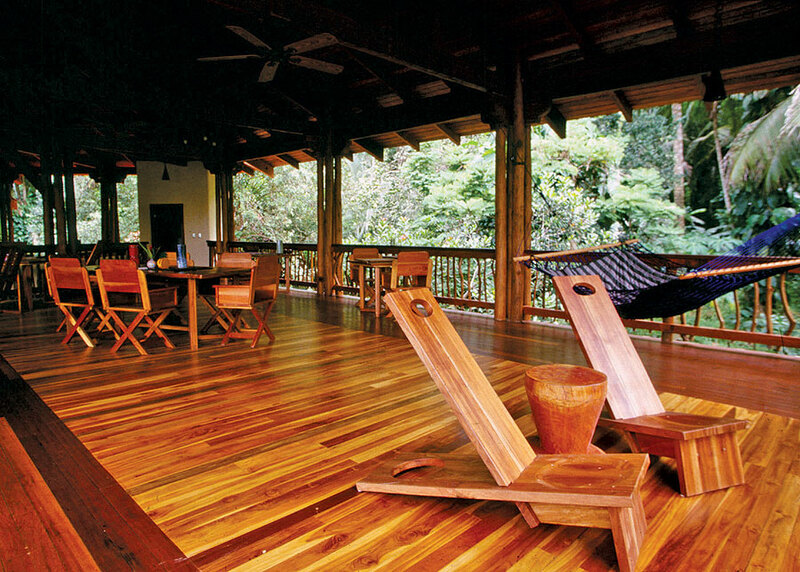 The visionary owners designed, built and managed the lodge for over 12 years – now it is available for purchase for the first time ever. 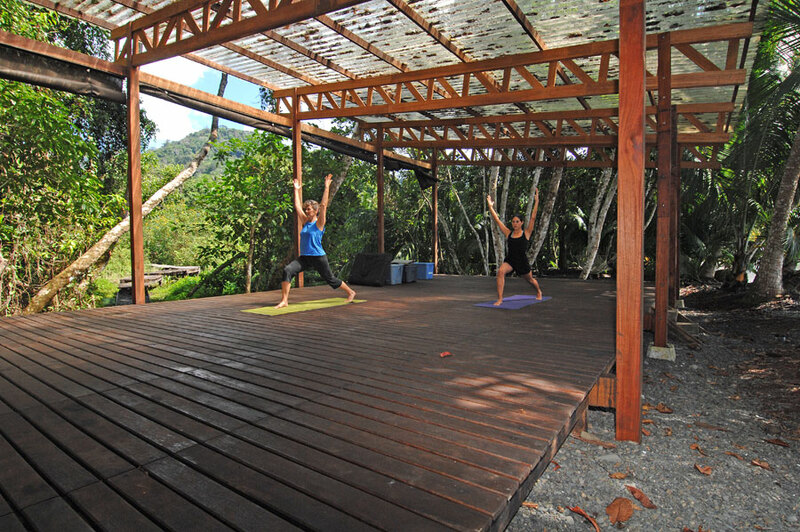 The property enjoys a VERY unique position and includes approximately 200 meters of pristine beach frontage, a private pier and a beach front yoga platform. 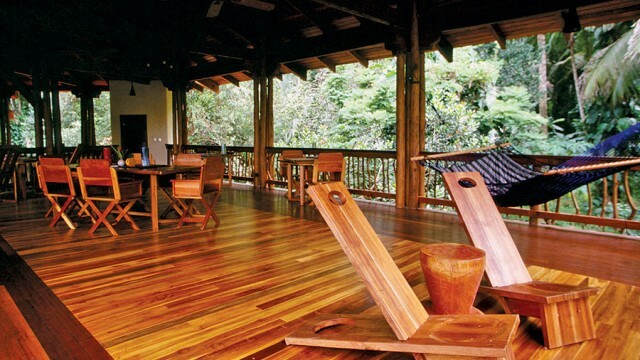 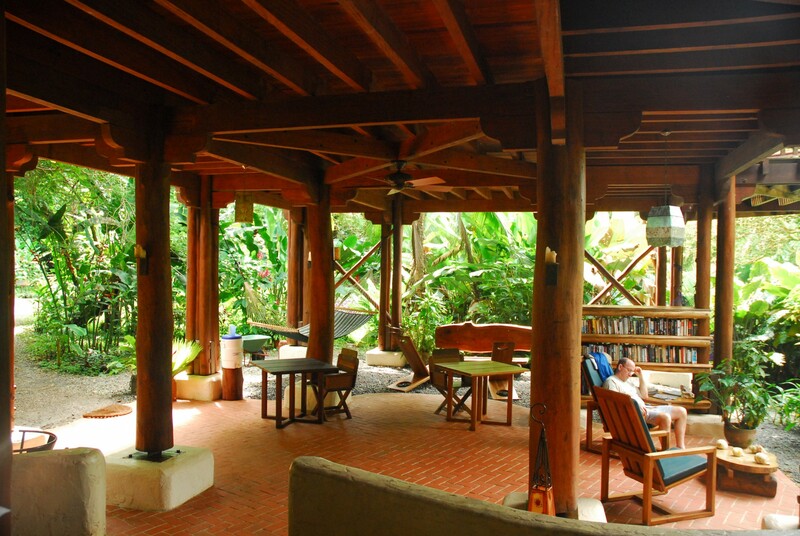 The first floor of the main lodge includes a library, a lounge, a terrace bar, hammocks and game tables. 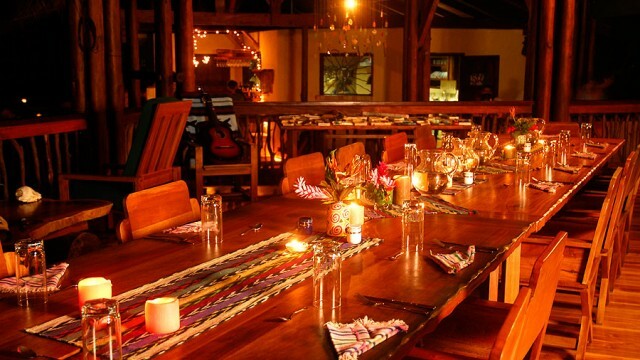 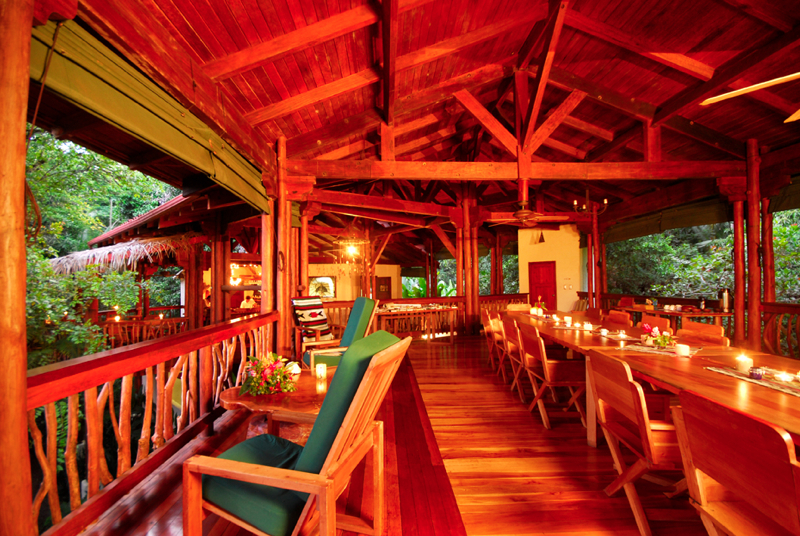 The second floor is comprised of a dining area that completely opens up to the forest canopy where guests dine family-style on healthy regional cuisine at a huge, handcrafted wood table. 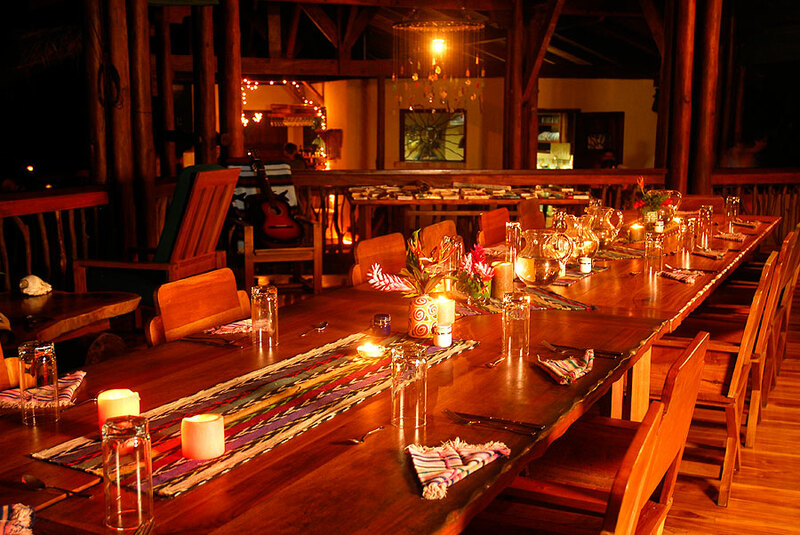 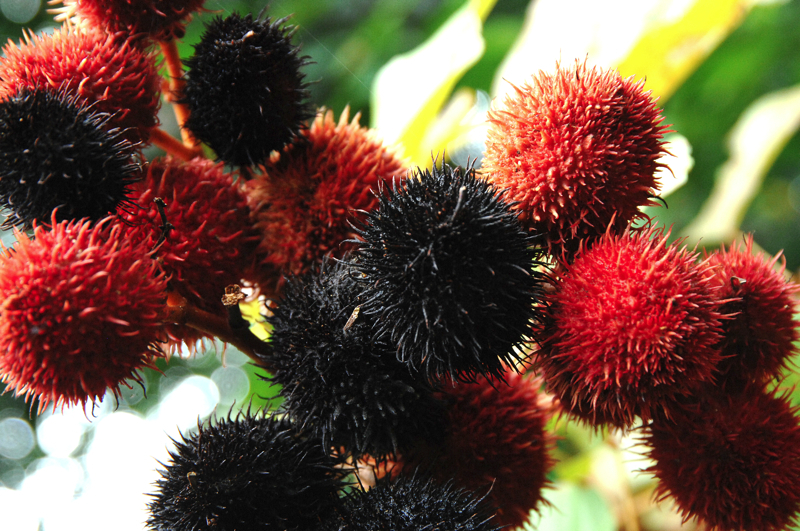 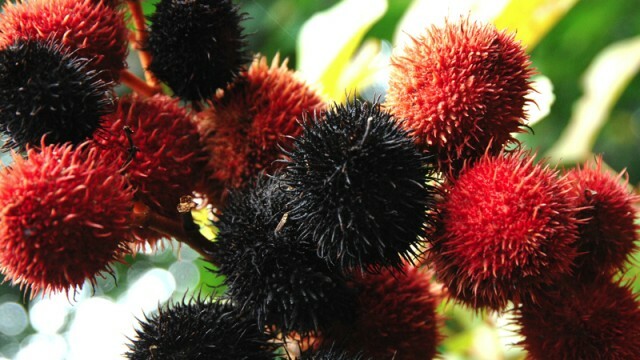 An “Edible Landscape Tour” allows guests to bring organic ingredients found in the garden and rainforest where the chef can work the findings into a savory meal. 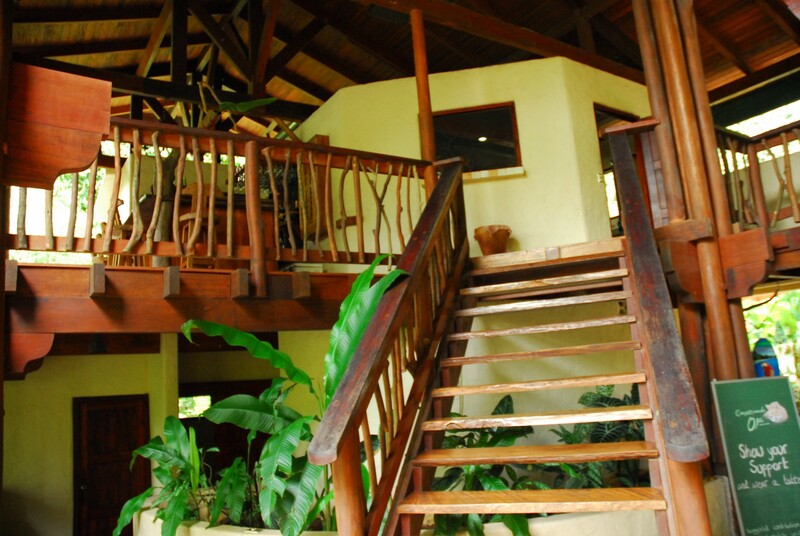 The lodging is comprised of 5 separate 2 & 1 bedroom bungalows, a guest house with 4 individual en-suite rooms, and a 2 story / 3 bedroom owner’s house. 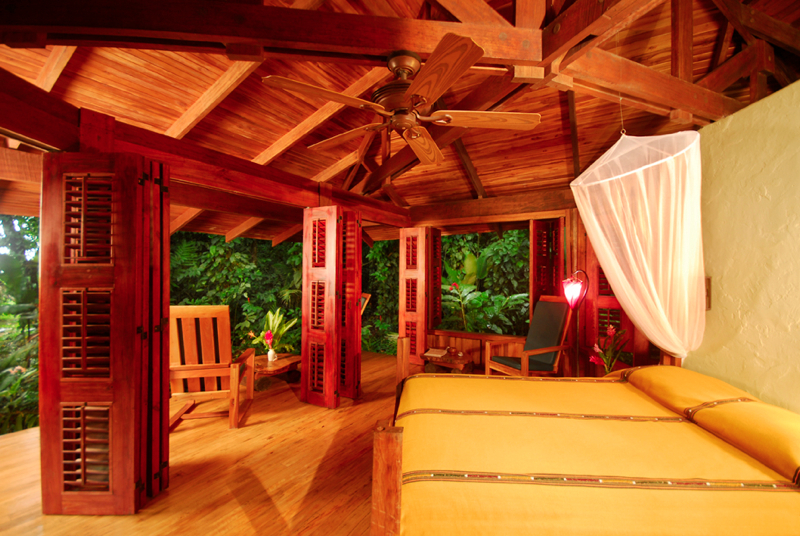 Finishes include private terraces, exotic hardwood floors, ceiling fans, queen size beds, private baths, open air garden showers and louver doors / windows that open up to panoramic rainforest views. 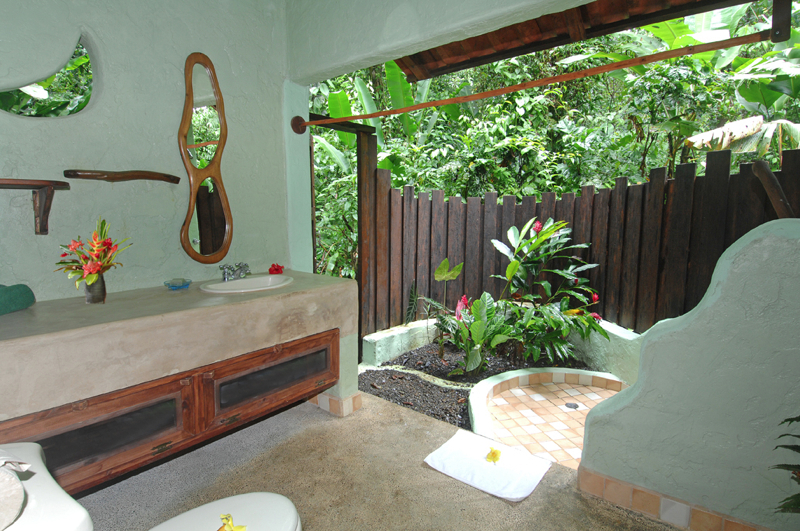 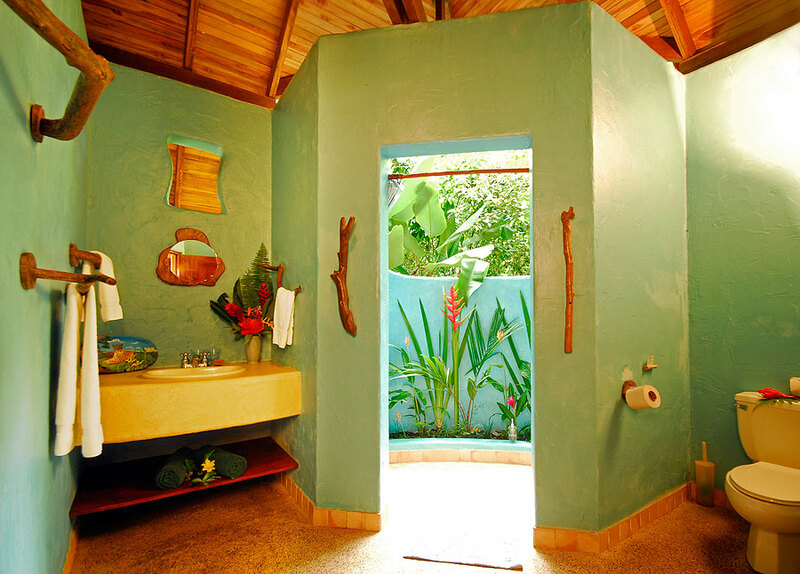 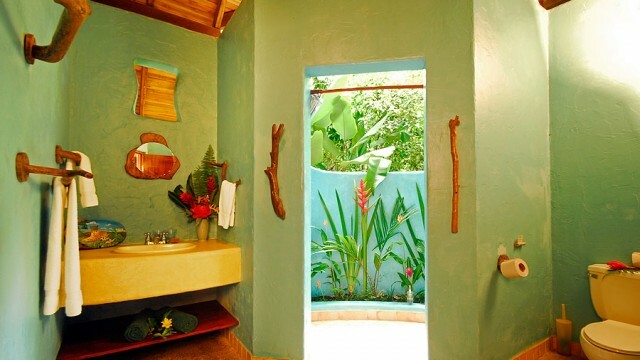 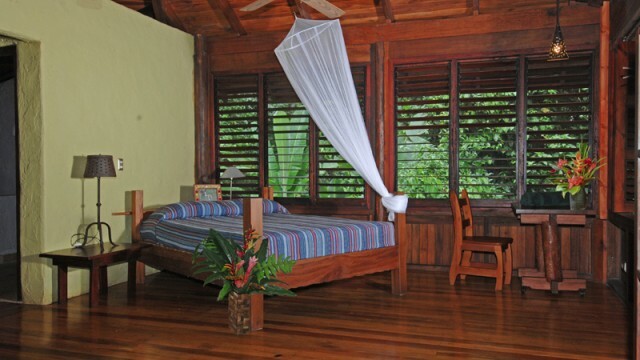 The staff provides daily cleaning services that include fresh cut flowers and clean towels hung on pieces of driftwood. 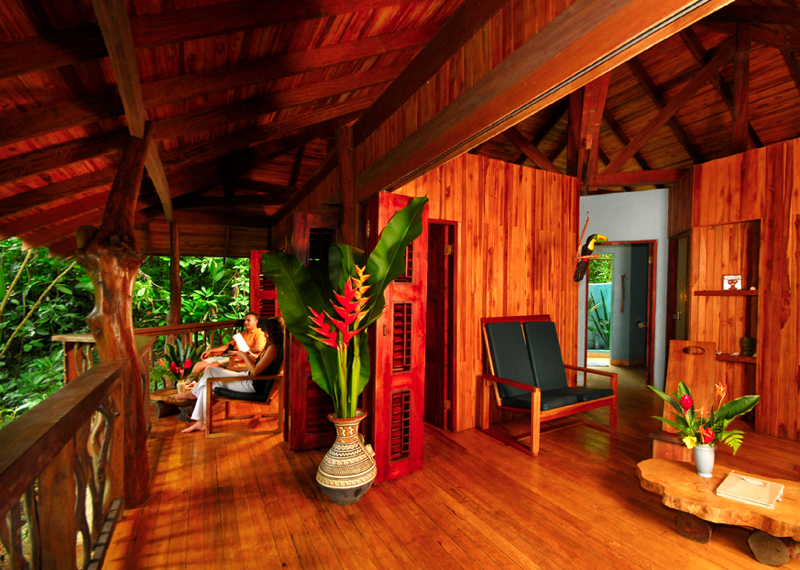 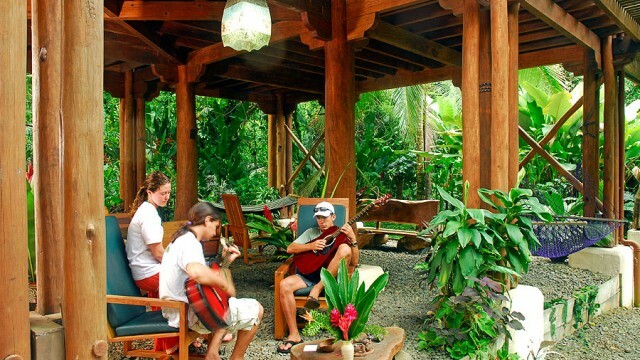 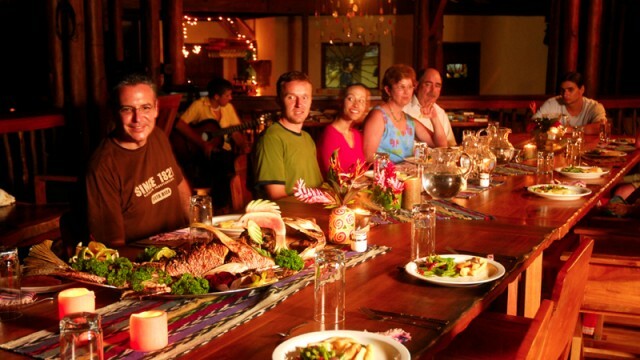 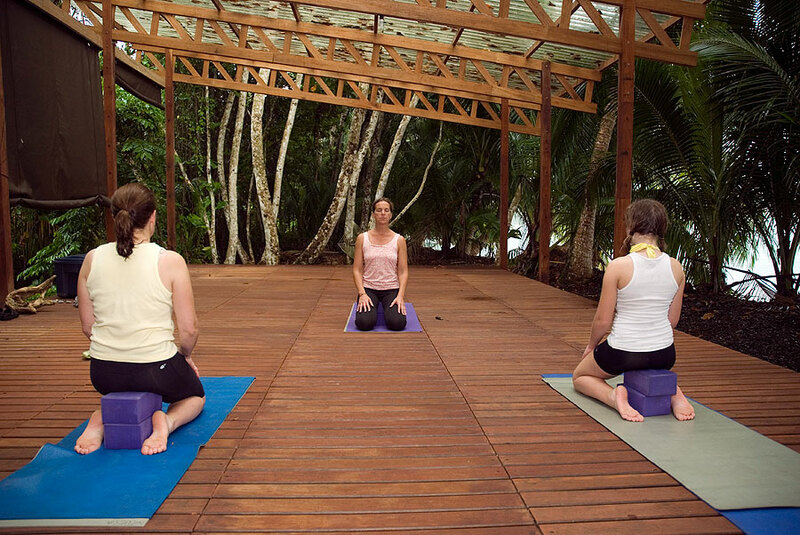 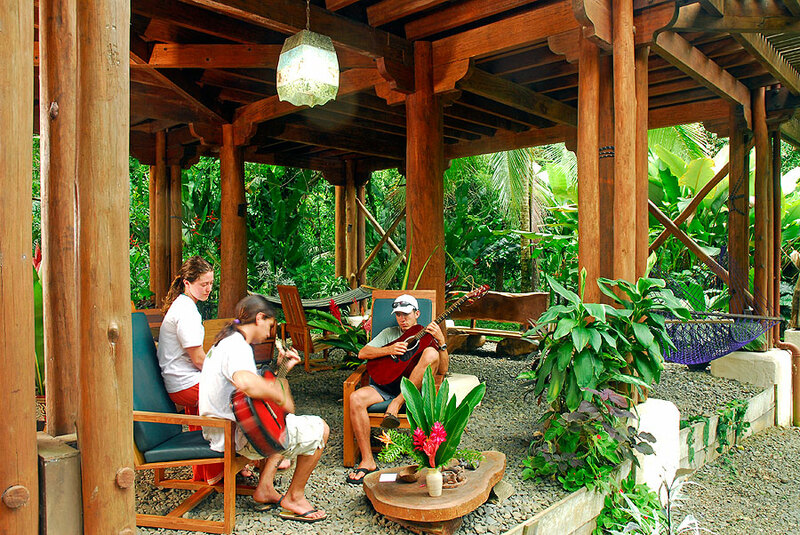 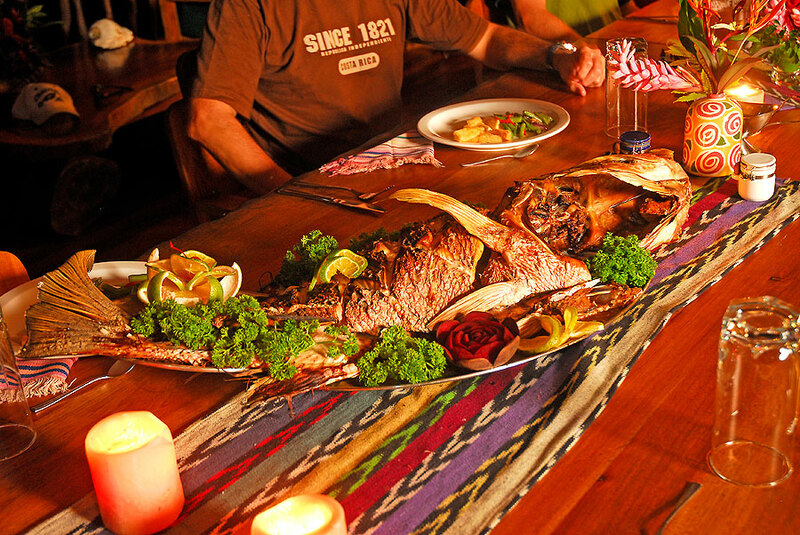 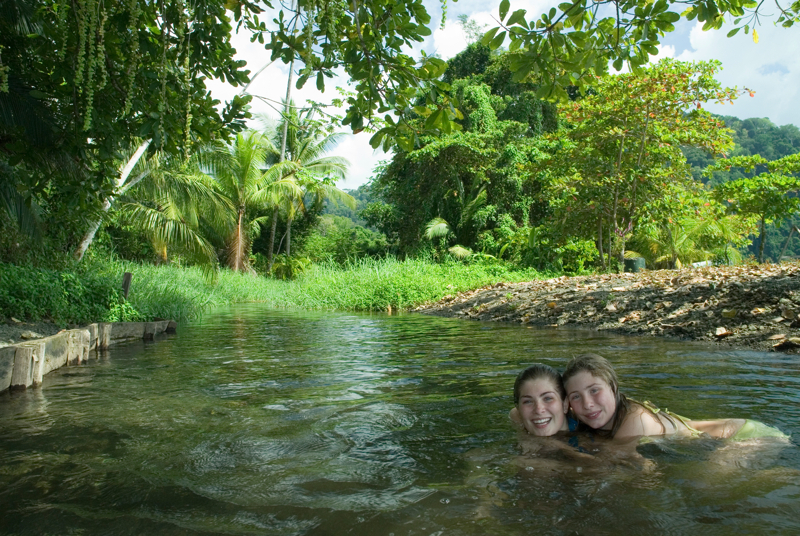 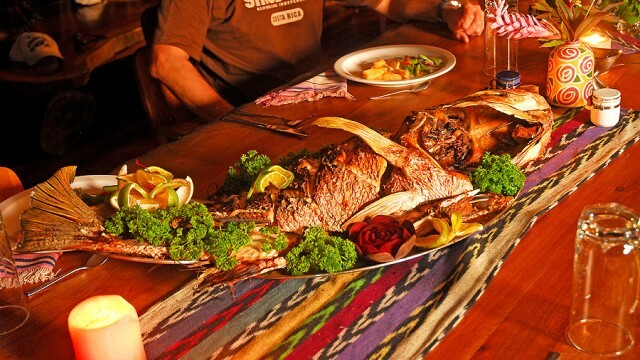 The ‘captive audience’ business plan allows the owners to effectively control the entire guest experience with points of sale for all meals, drinks, aroma therapy massages, spa treatments, yoga classes, kayak rentals, boat rentals, private nature tours, fishing expeditions and surf trips to the world class breaks of Pavones and Matapalo. 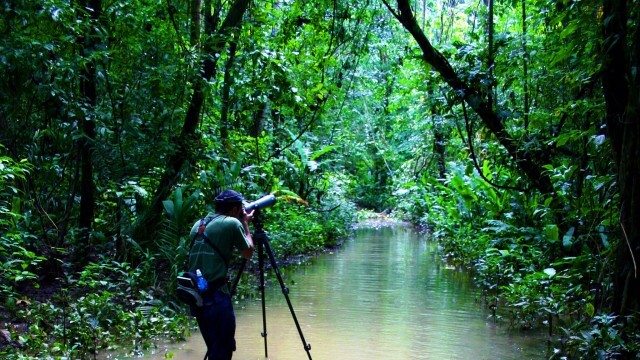 Other activities include a Nocturnal Hike Trail where night scopes and flashlights help in the search of Kinkajous and Mapaches. 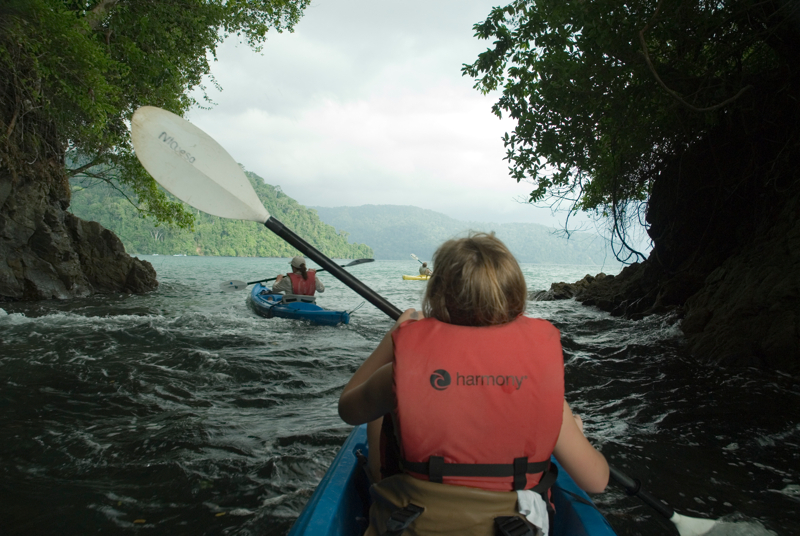 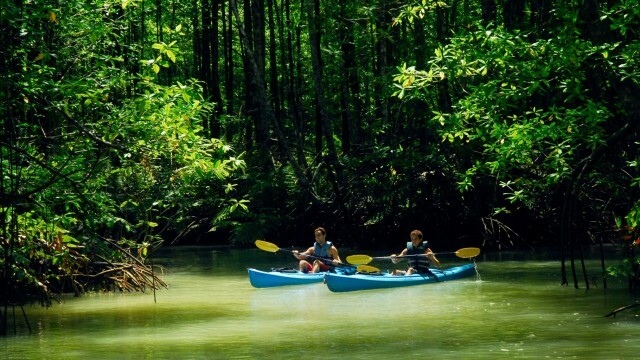 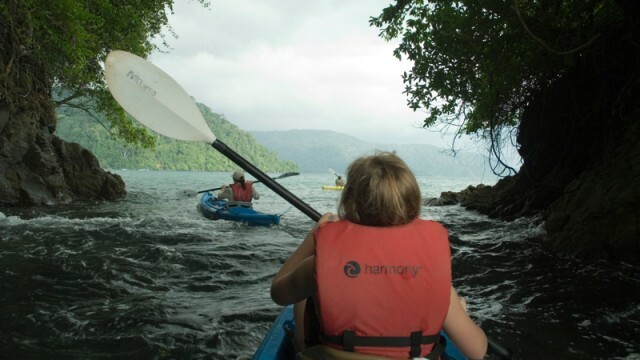 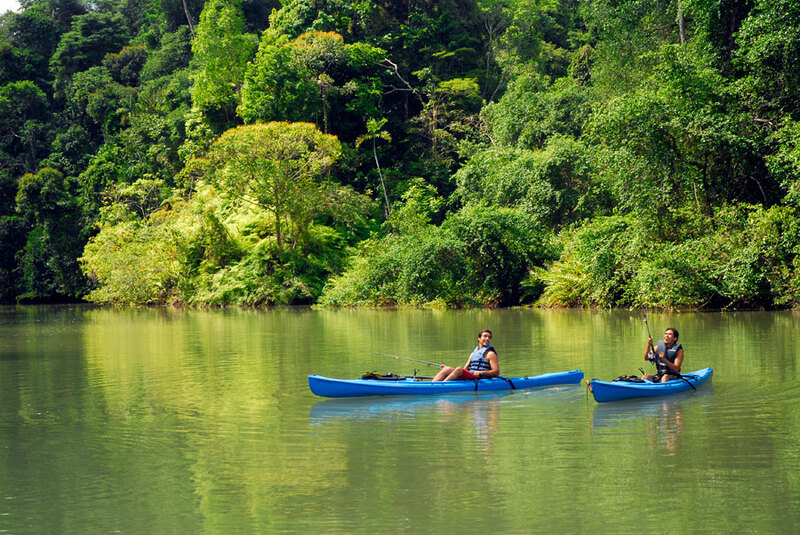 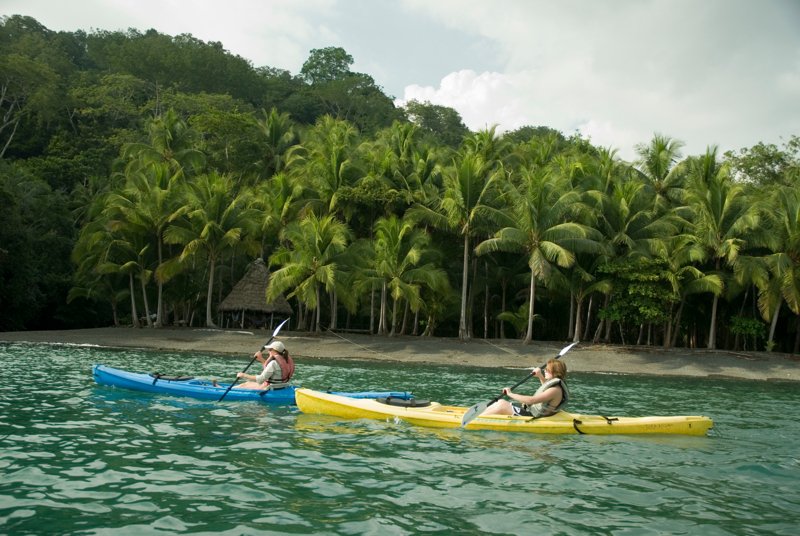 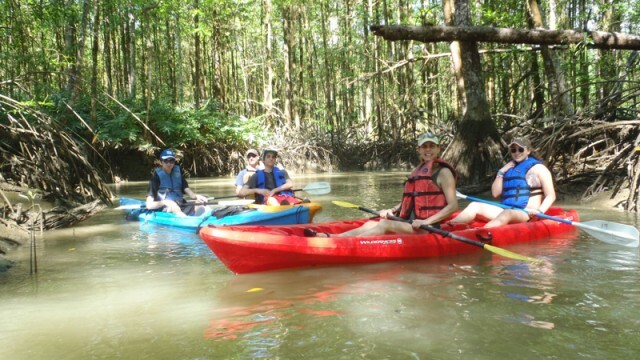 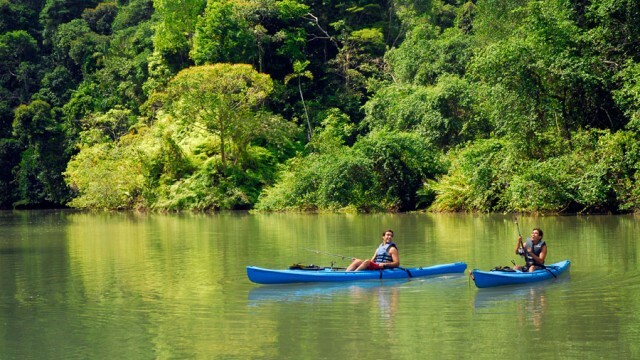 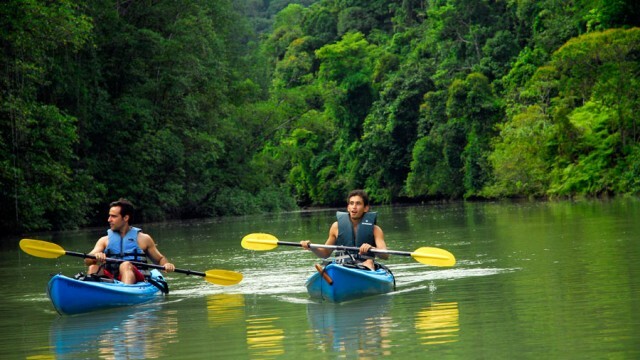 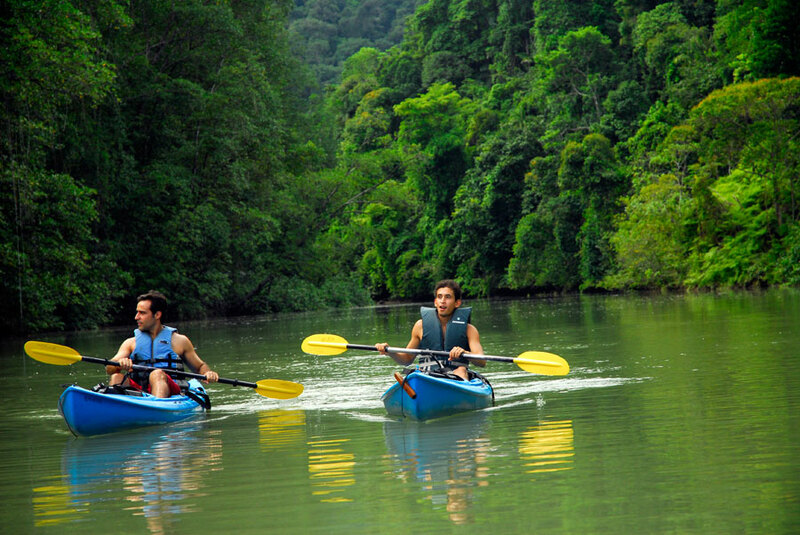 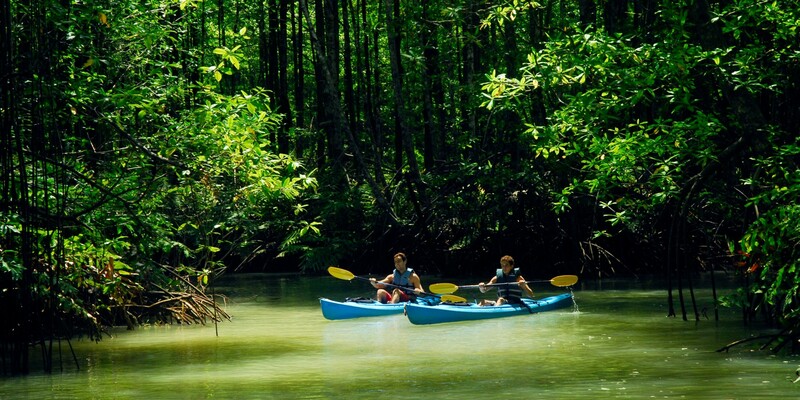 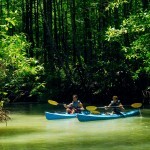 Guests can also explore mangroves teeming with wildlife from a kayak or they can paddle from the beach where they can witness the pristine rainforest touch the sea. 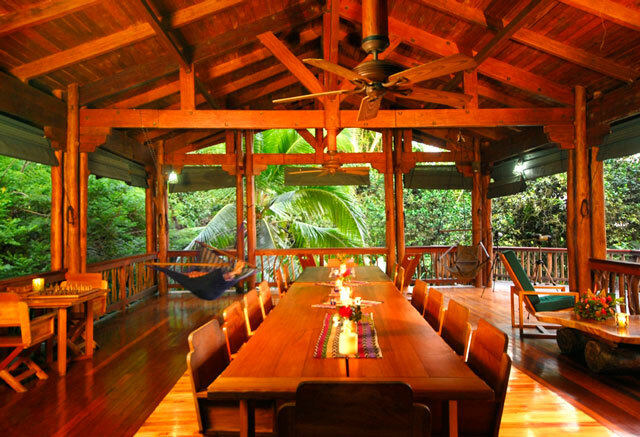 As the world traveler’s appetite grows for authentic yet comfortable travel experiences in unique destinations, properties such as this will only gain in value. 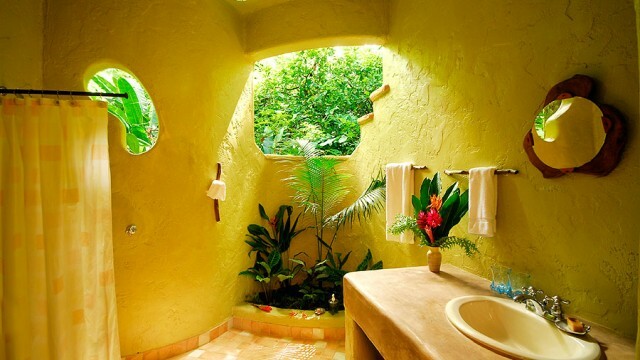 One word, “Magical”! 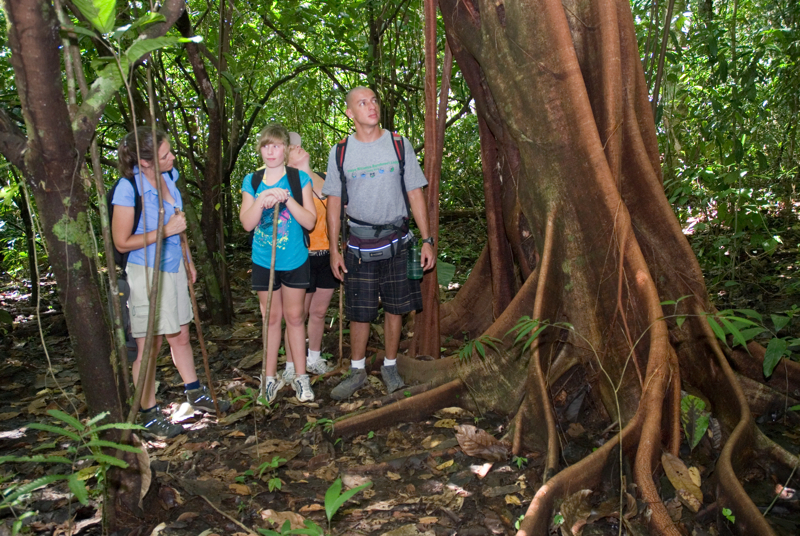 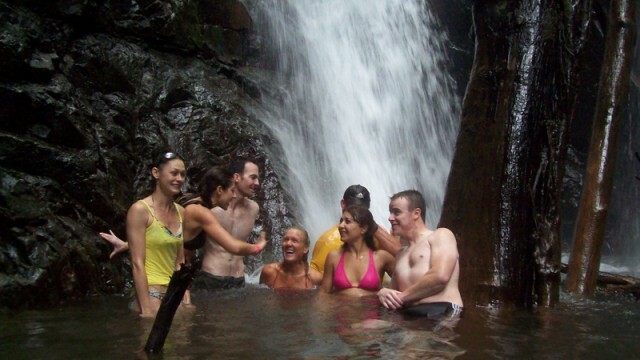 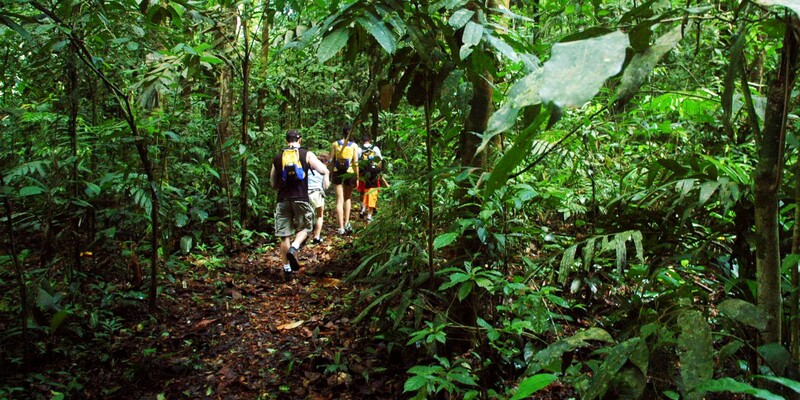 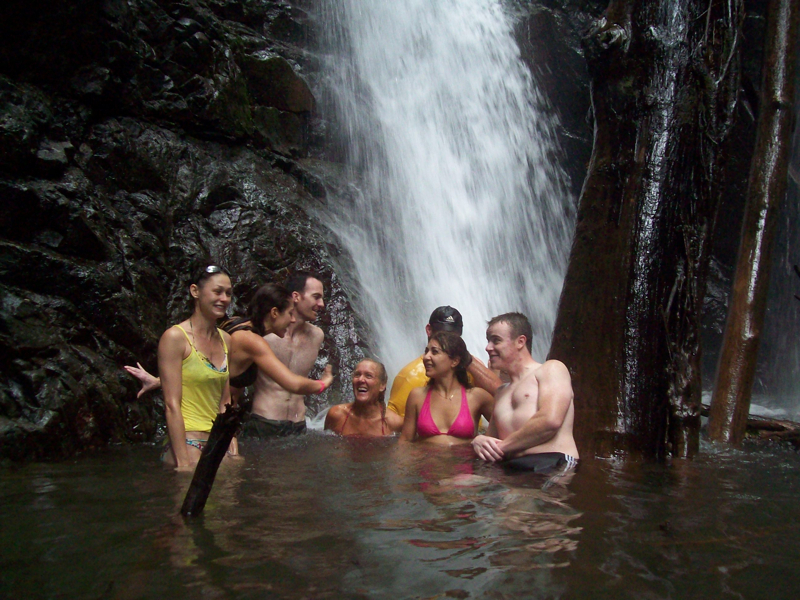 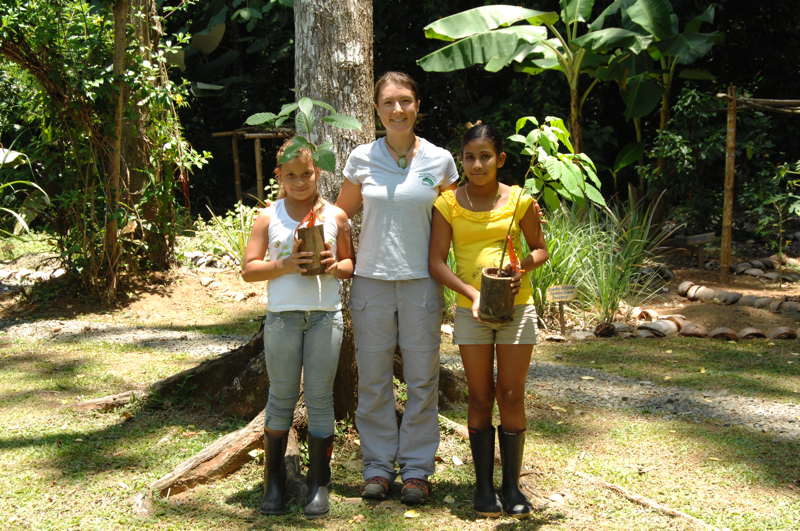 We love outdoor adventures such as hiking/camping and were really looking to experience the natural environment of Costa Rica. 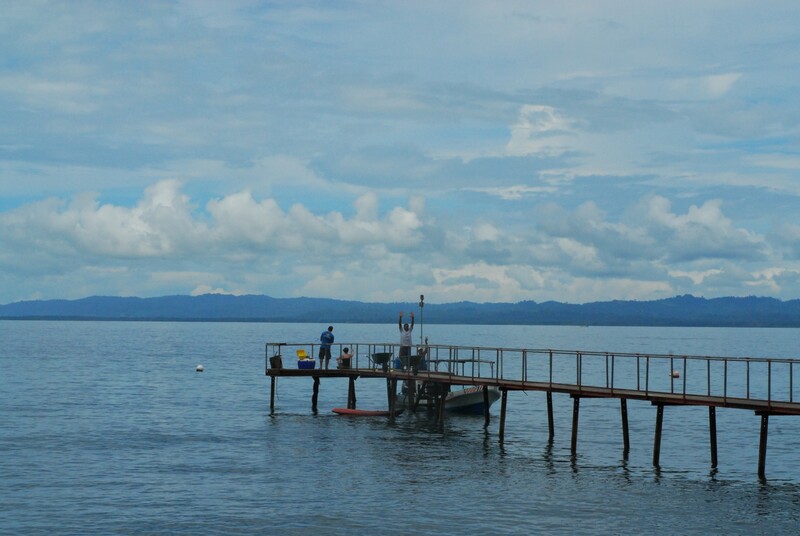 THIS was the spot! 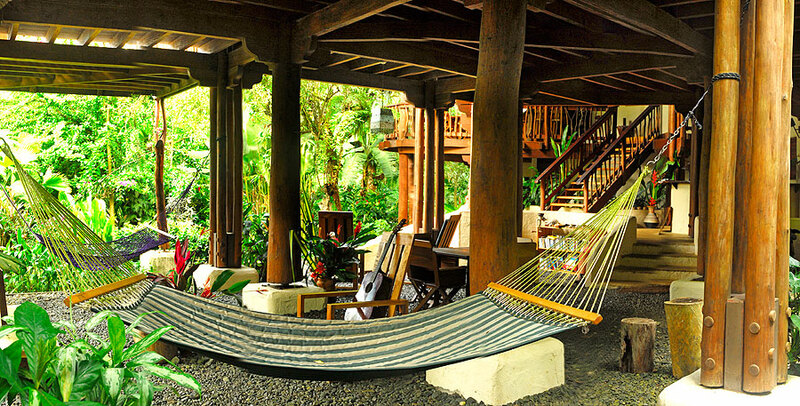 Very peaceful getaway… so much to see and do, never bored. 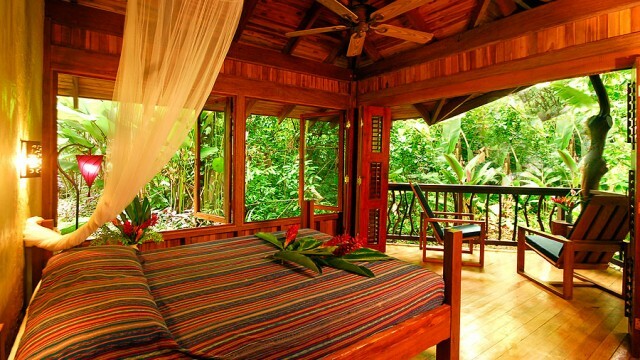 This place is heaven on earth. 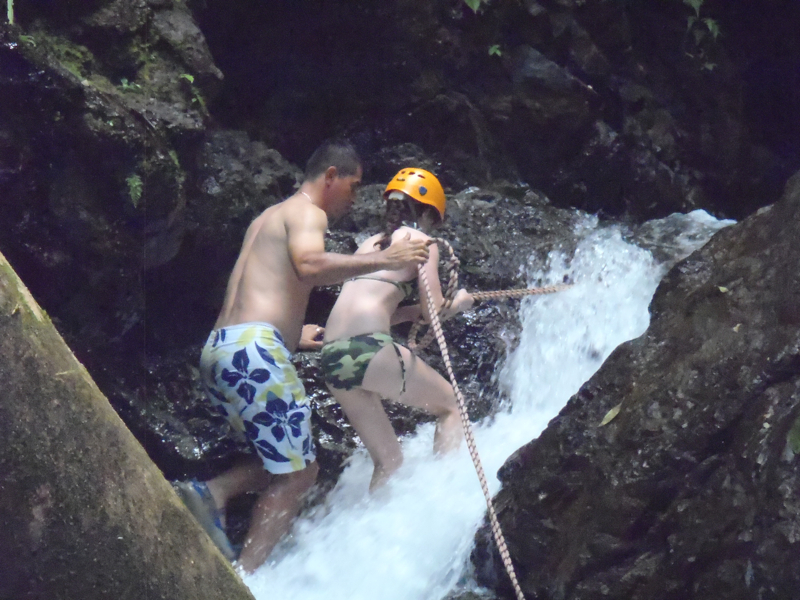 This was one of the best vacation experiences I have ever had. 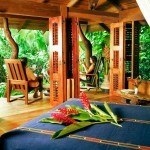 The lush tropical rainforest setting was really great. 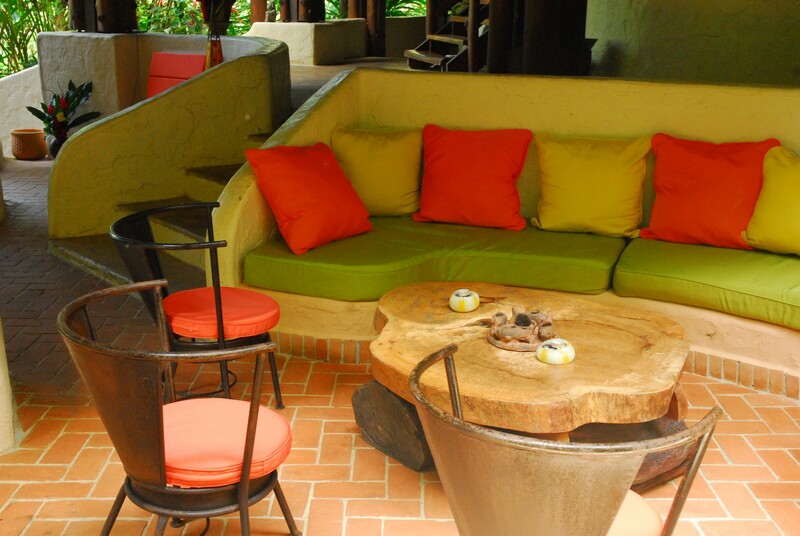 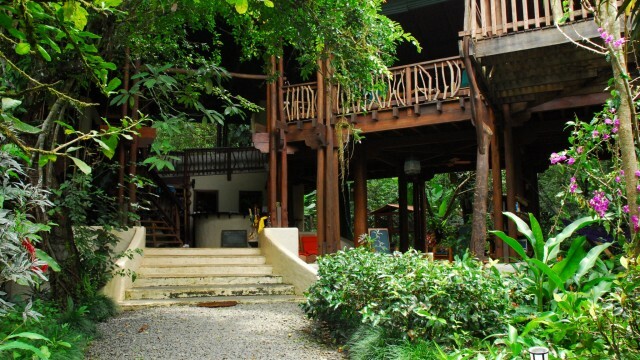 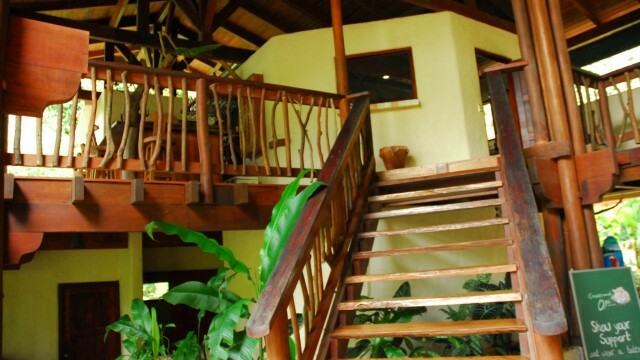 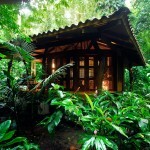 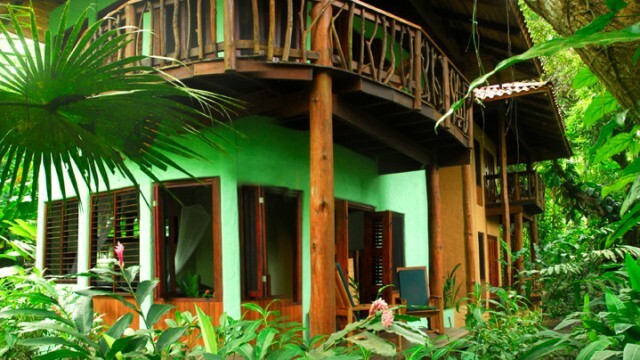 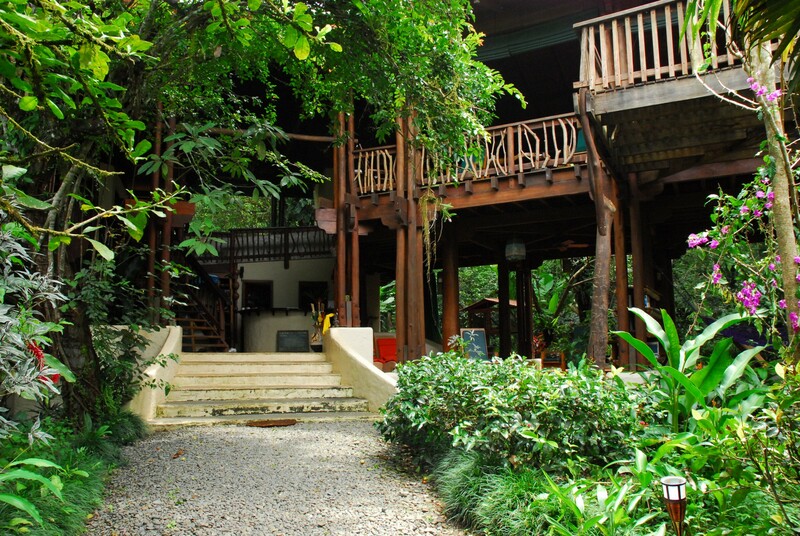 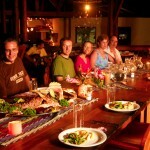 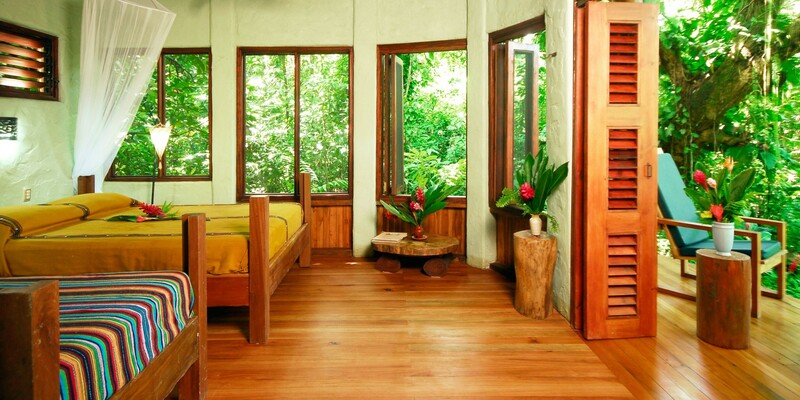 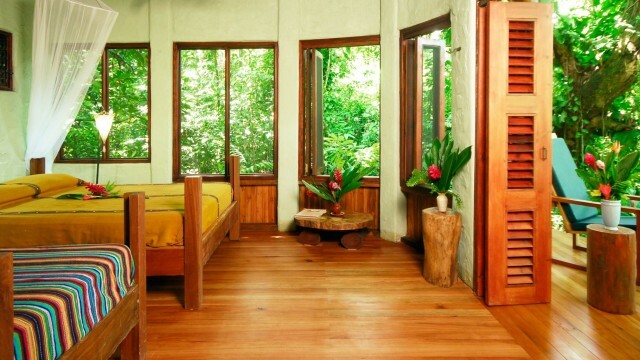 This is an eco lodge but still with great food and housekeeping. 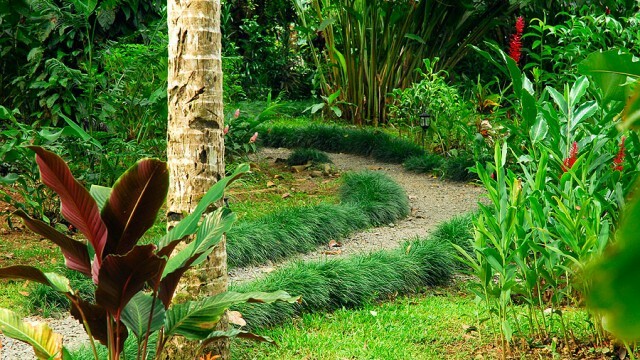 There are different levels of trails you can go on either by yourself or guided. 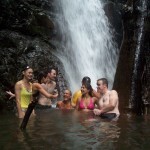 I highly recommend the waterfall tour. 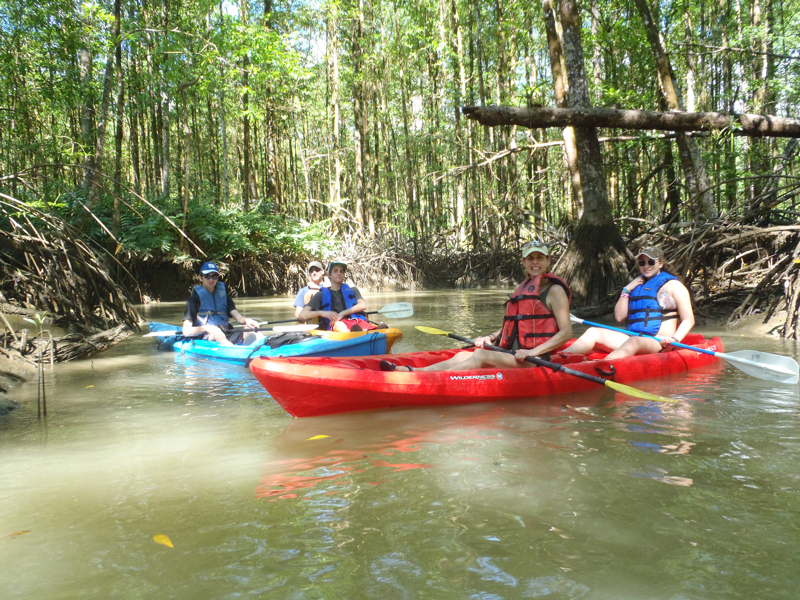 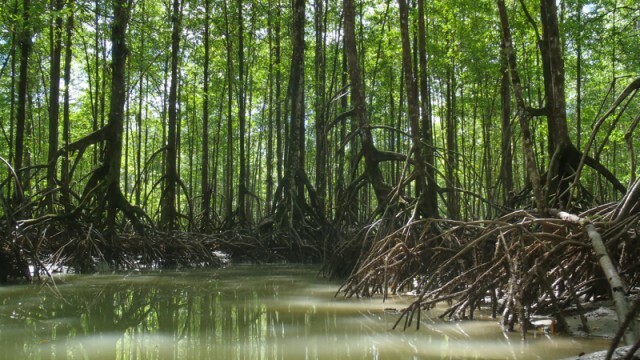 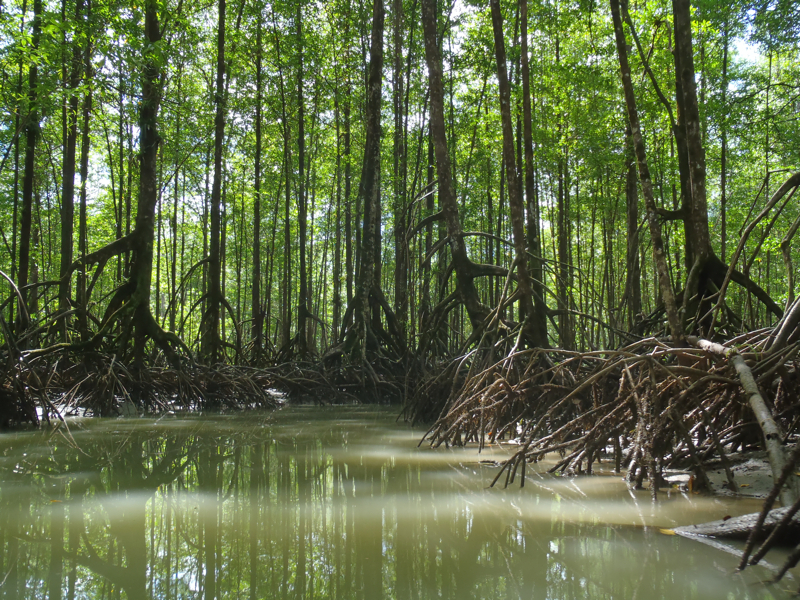 Additionally the River tour with the mangroves was fantastic. 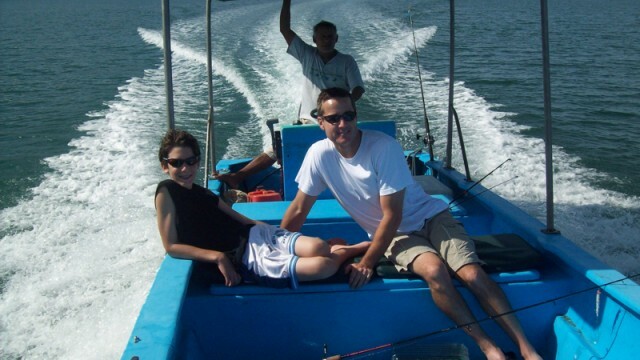 There really is something to do for everyone including snorkeling, deep sea fishing excursions or just fishing from the shore or the small boats. 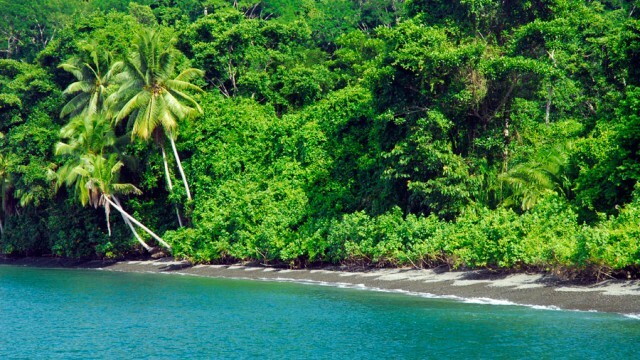 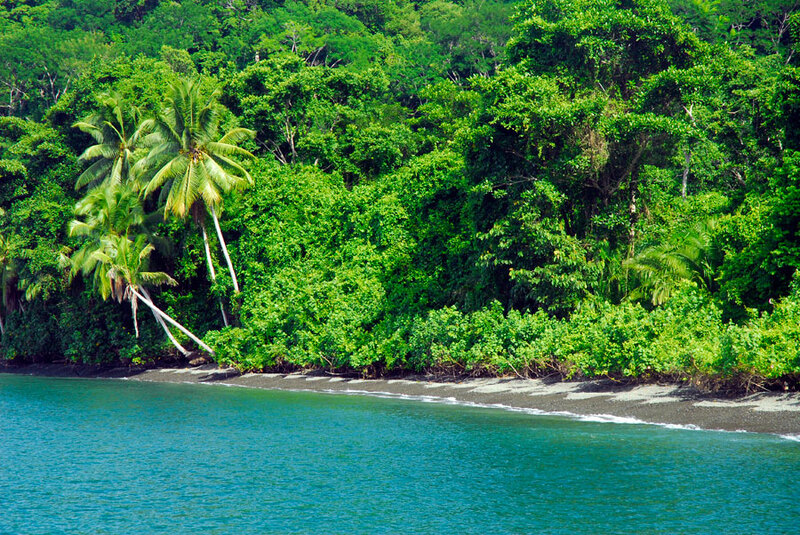 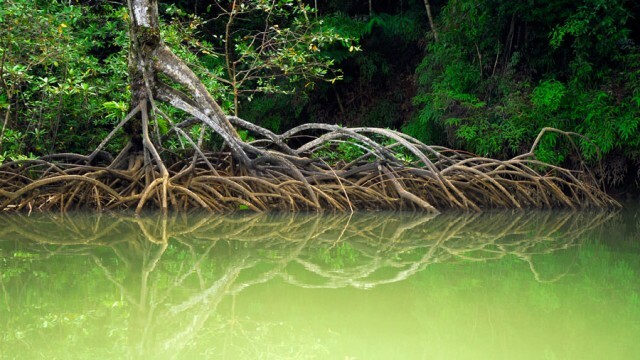 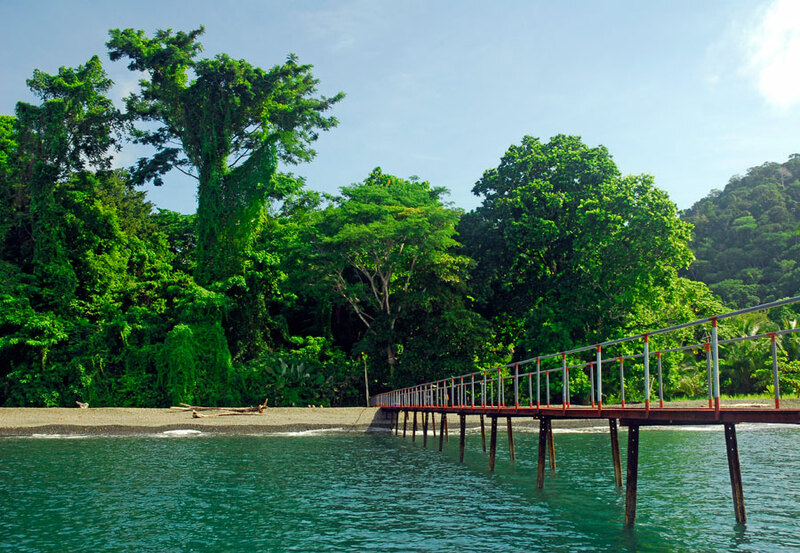 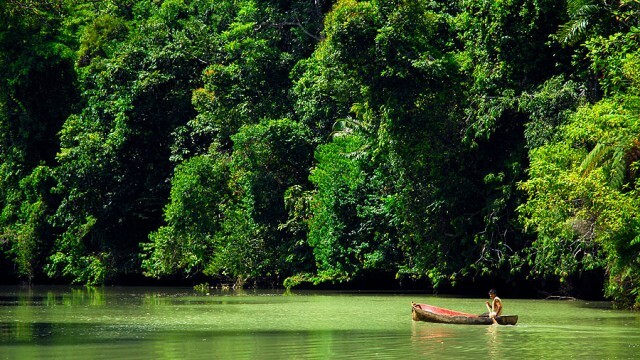 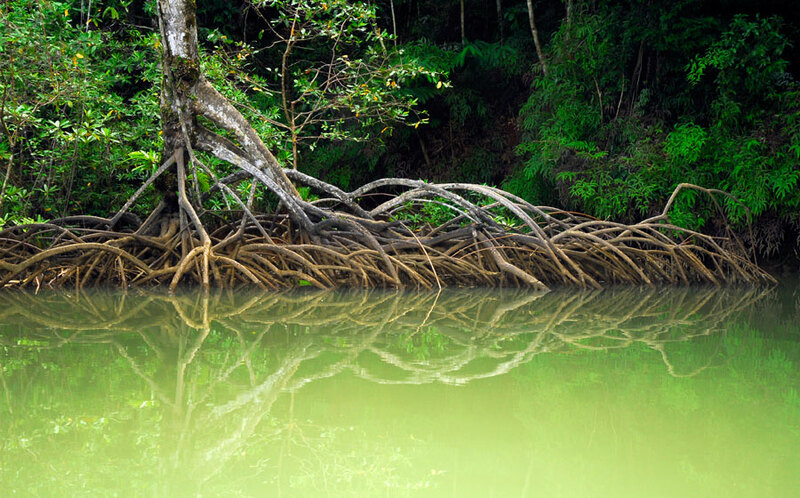 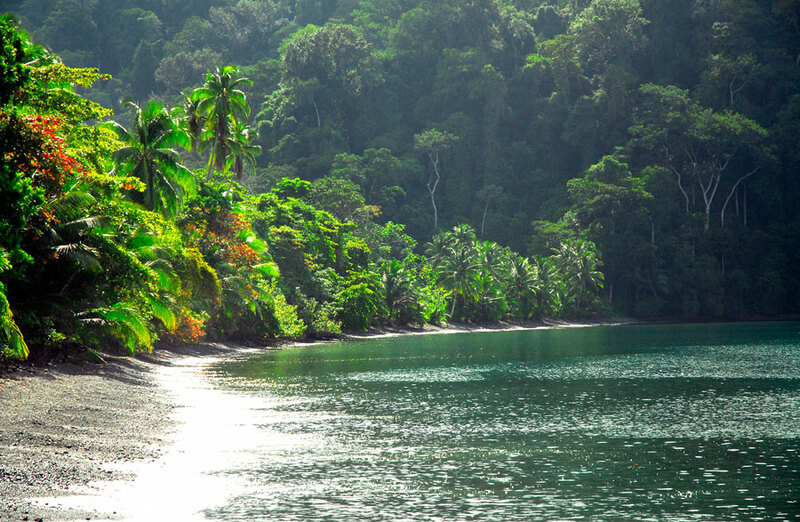 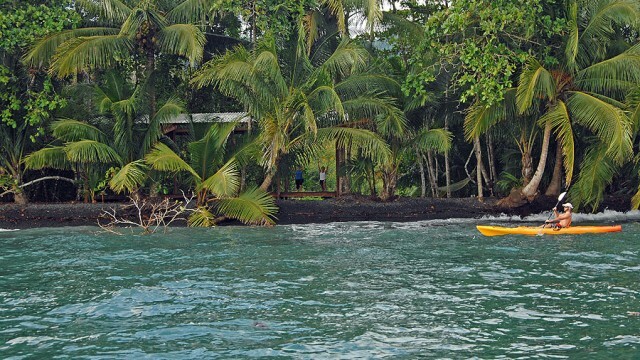 It’s truly beautiful and wild — the only approach is by boat and it’s located on a beach surrounded by the rainforest. 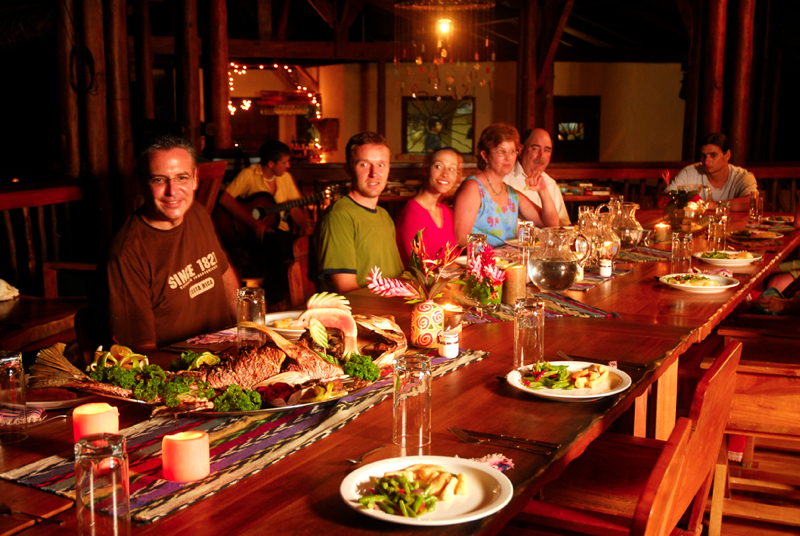 The large table for meals made for great conversations with all of the guests — a very international group! 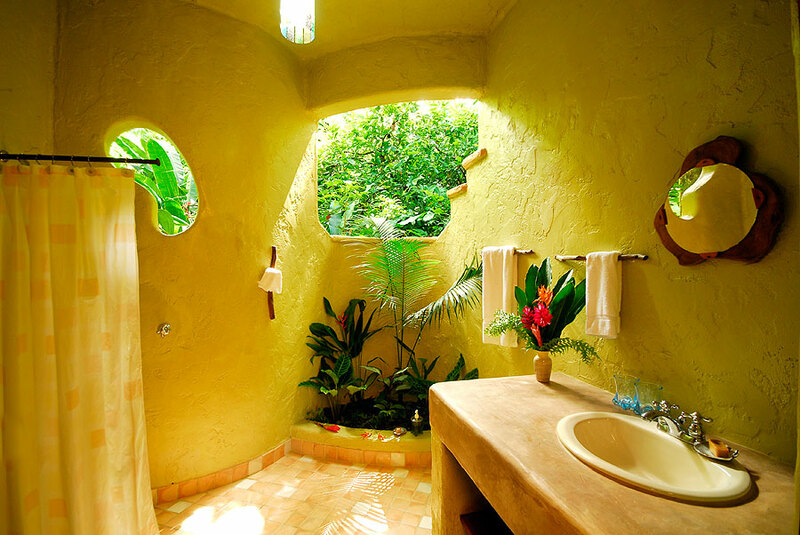 A truly enchanting experience. 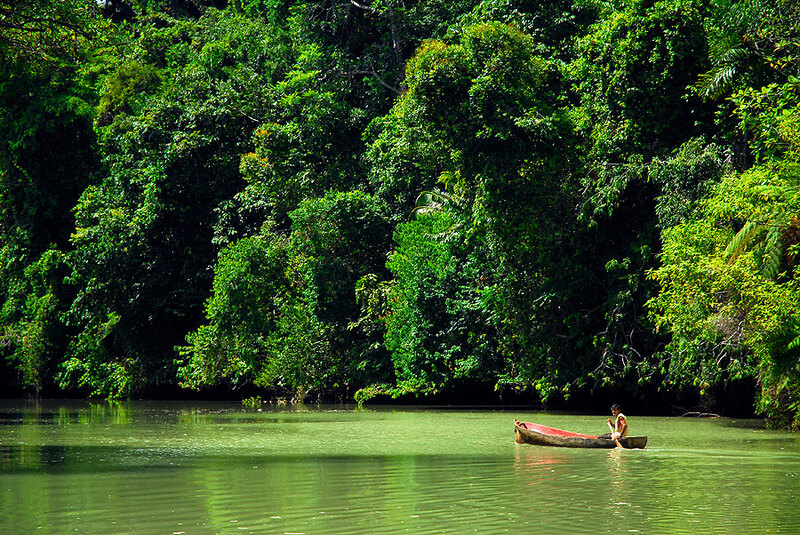 Rarely do you get to find such a magical place. 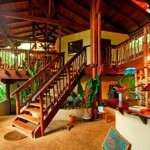 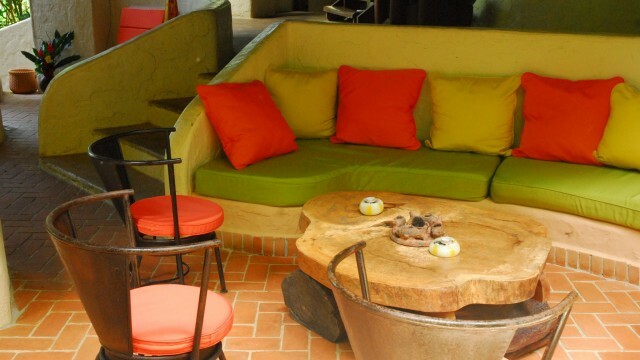 This property is “one of a kind” and it does not necessarily need to be used as a hospitality business. 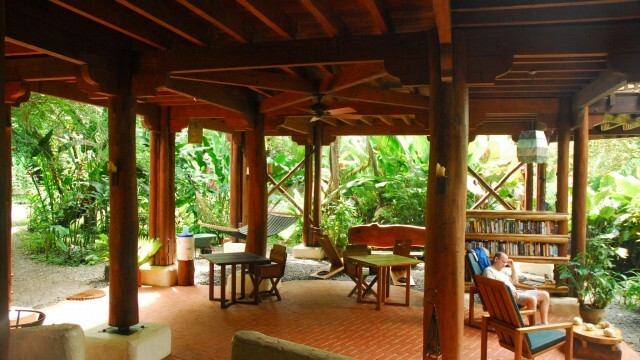 It could also be considered as a scientific research center or a private family estate. 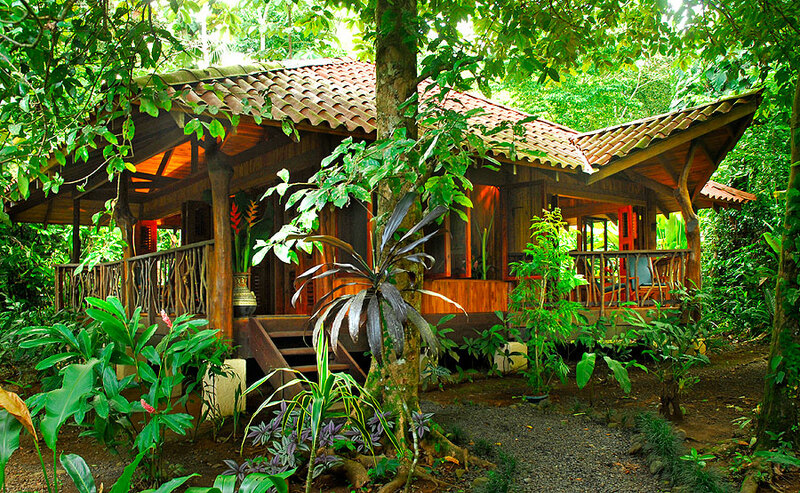 Very few properties like this exist in the world and with 165 acres of waterfront property in Costa Rica’s most bio-diverse and beautiful area, this will be a trophy property for generations to come.